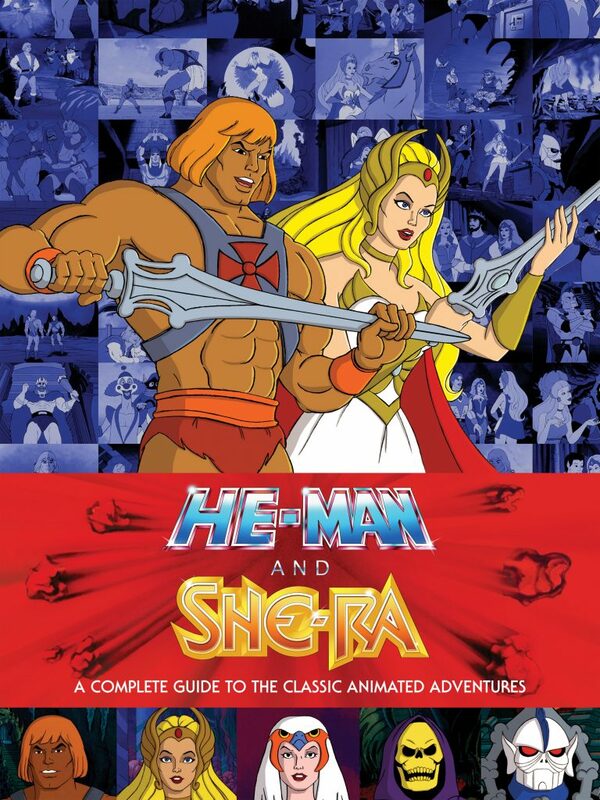 He-Man and She-Ra: A Complete Guide to the Classic Animated Adventures is a nearly-600 page love letter to the 1983 and 1985 Filmation He-Man and She-Ra cartoons. 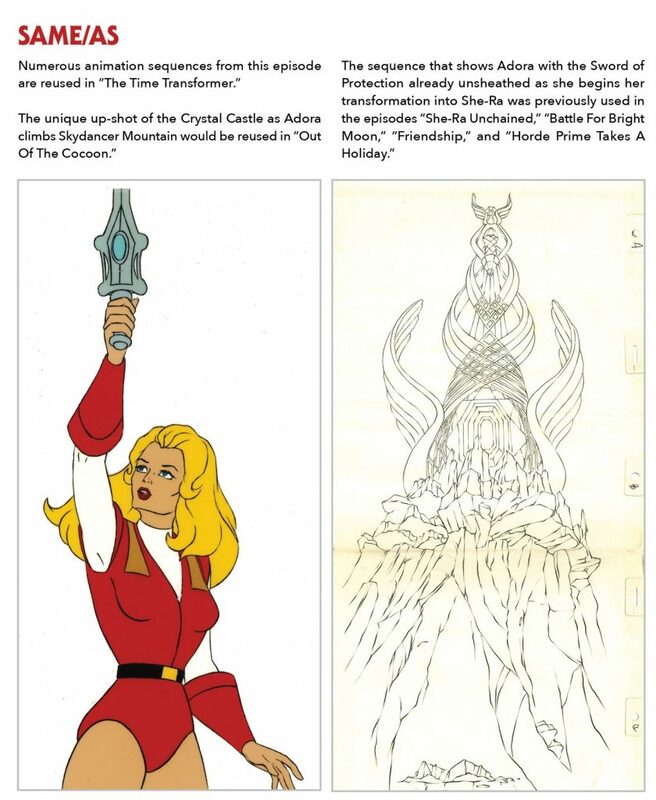 James Eatock, the author (the She-Ra section was co-written by Alex Hawkey) has been reviewing and researching the cartoon since at least 1997, and knows more about the series than perhaps any living person. 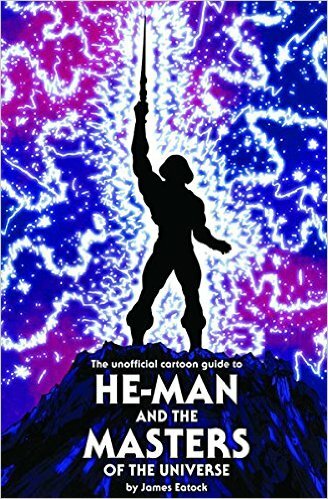 In fact, Eatock published his own Unofficial Guide to He-Man and the Masters of the Universe back in 2010, so it’s fitting now that he has been able to publish an official guide through Dark Horse. 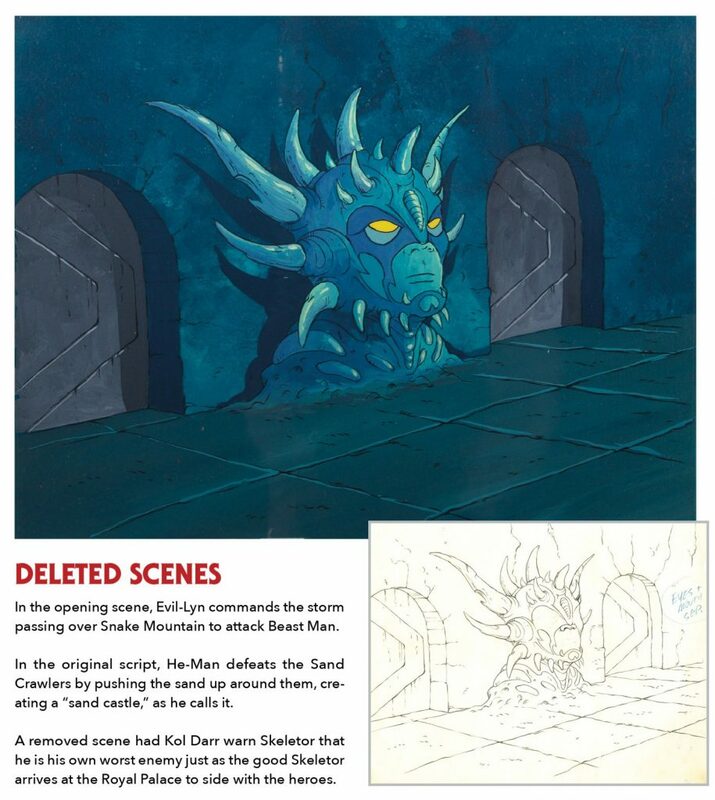 The book takes an exhaustive look at each episode of the He-Man and She-Ra cartoons, offering a synopsis for each episode, a list of characters, memorable quotes, reviews, morals, deleted scenes, information on animation reuse, trivia, artwork and more. 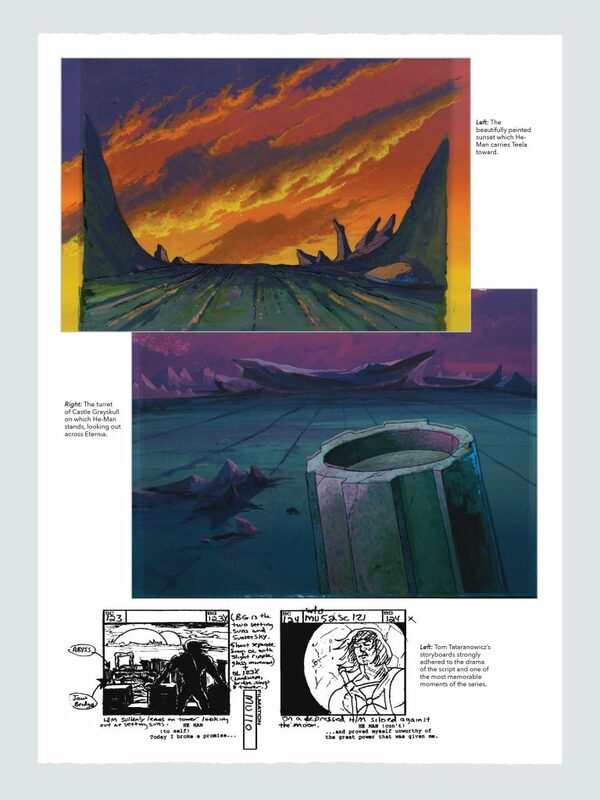 There is also a forward by storyboard artist and writer Robert Lamb, as well as some information on abandoned episodes. I’ll always have a soft spot in my heart for these cartoons. I remember well the power struggles over control of the TV when I was a kid. My big sisters would always steer us toward episodes of Three’s Company, Different Strokes, The Monkees or Gilligan’s Island, but when I had a choice, I would always be watching He-Man. Having said that, the Filmation cartoons have never been the focus of my own research in this blog. 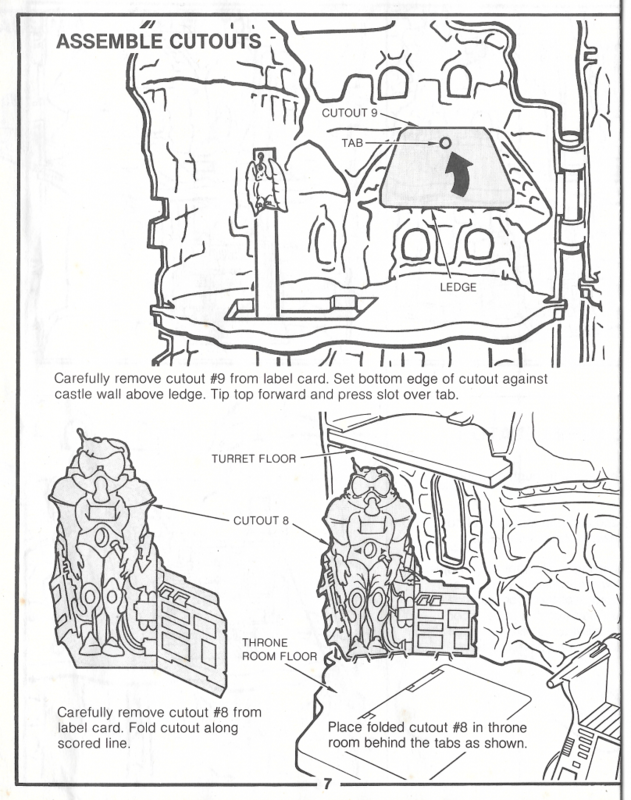 My research interests lie mainly in the development of the toys and packaging and comics. So for me, the book is actually a godsend. 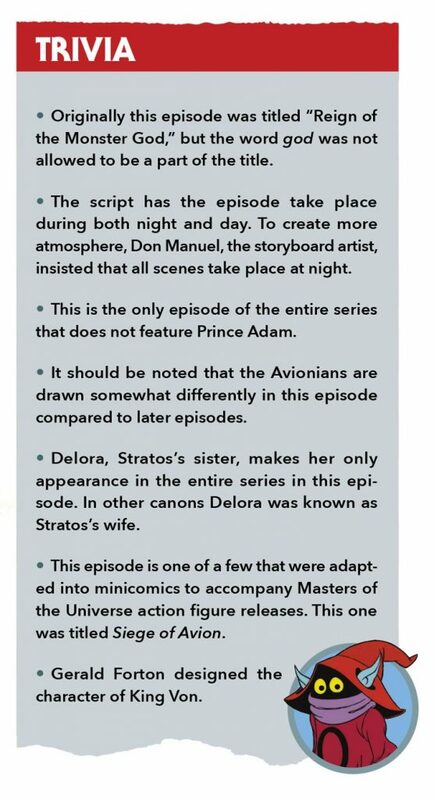 Anything I could possibly want to know about any episode in the series seems to have already been uncovered by Eatock and Hawkey (or if it hasn’t, it’s probably unknowable). 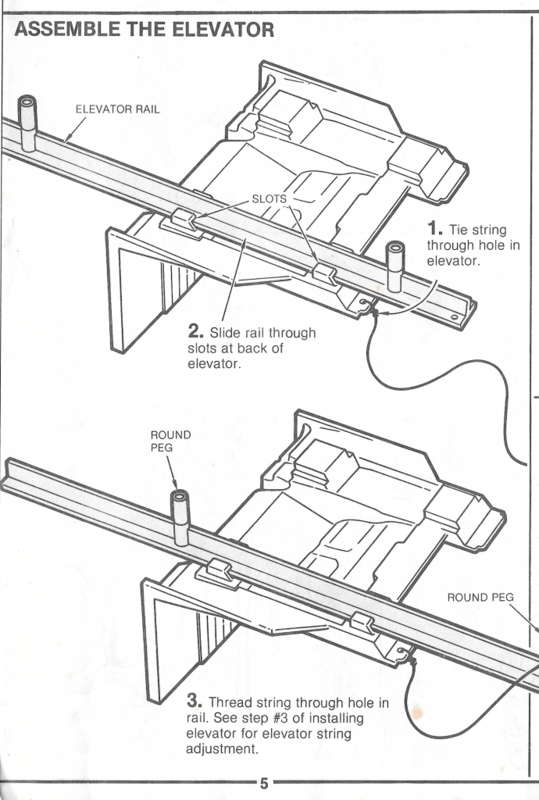 The book is called a guide, and it works very well in that capacity. I’ve found that the best way to digest this book is to read about an episode and then go immediately watch it, so you can catch all the behind the scenes facts and surprising connections across the series. 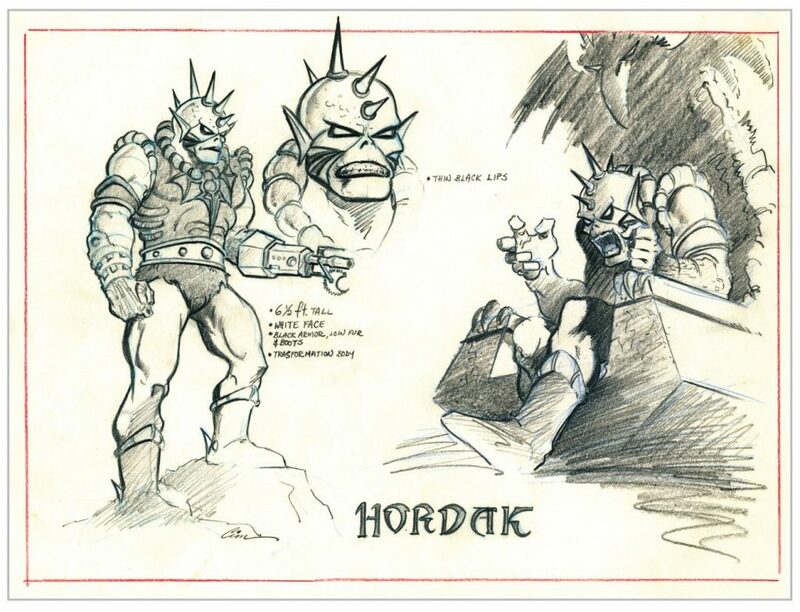 Eatock’s enthusiasm for the series is infectious, and even non-Filmation fans will find themselves being drawn into the depths of the series through the eyes of the author. 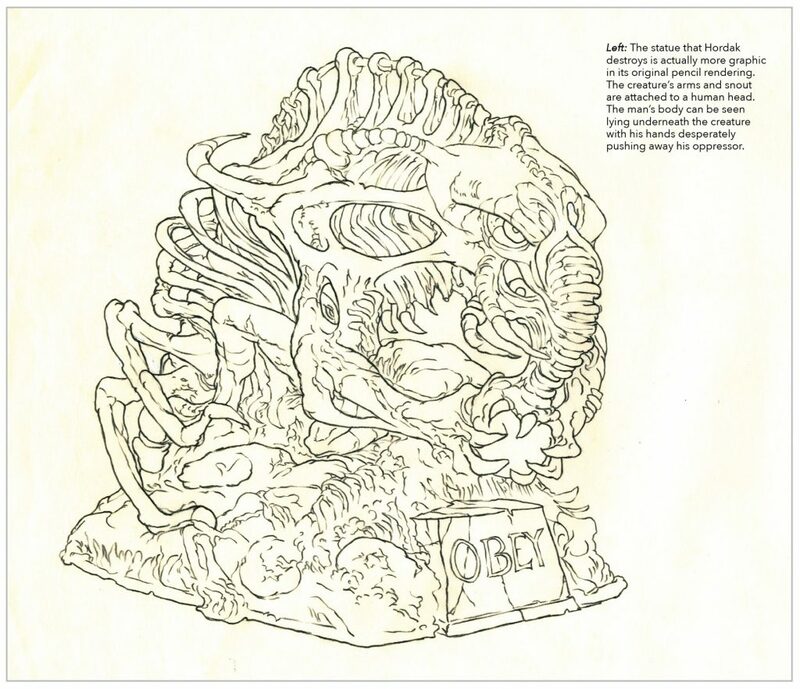 Even if you don’t consider yourself much of a fan of the cartoon, this book is a must-own. Return to Table of Contents. 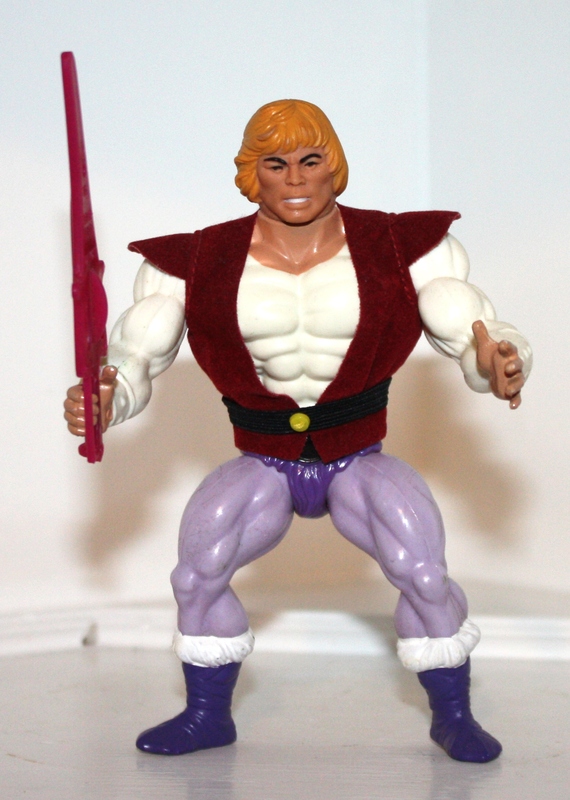 Of all of the He-Man toys I got when I was young, Prince Adam was perhaps the second-most disappointing to me at the time, next to Orko. 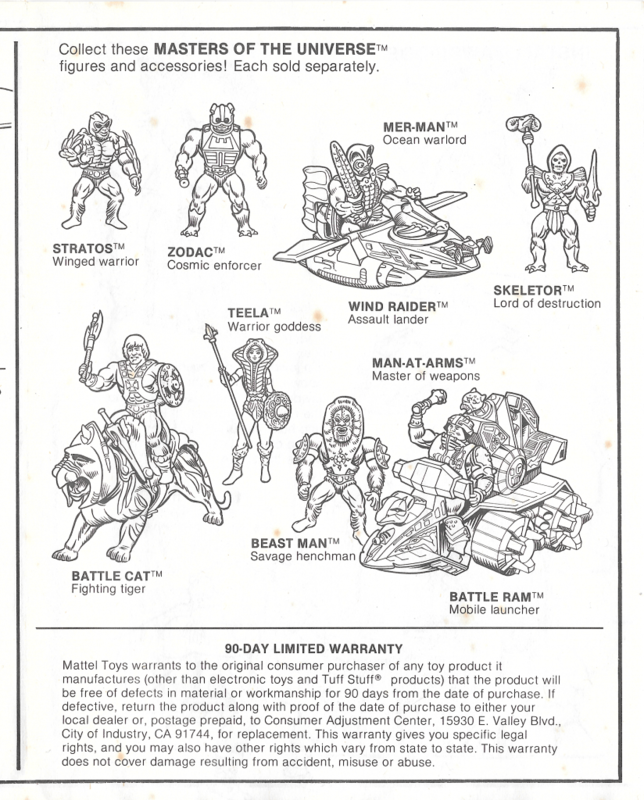 Like many fans, I was introduced to He-Man through the first wave of toys and mini comics in 1982. 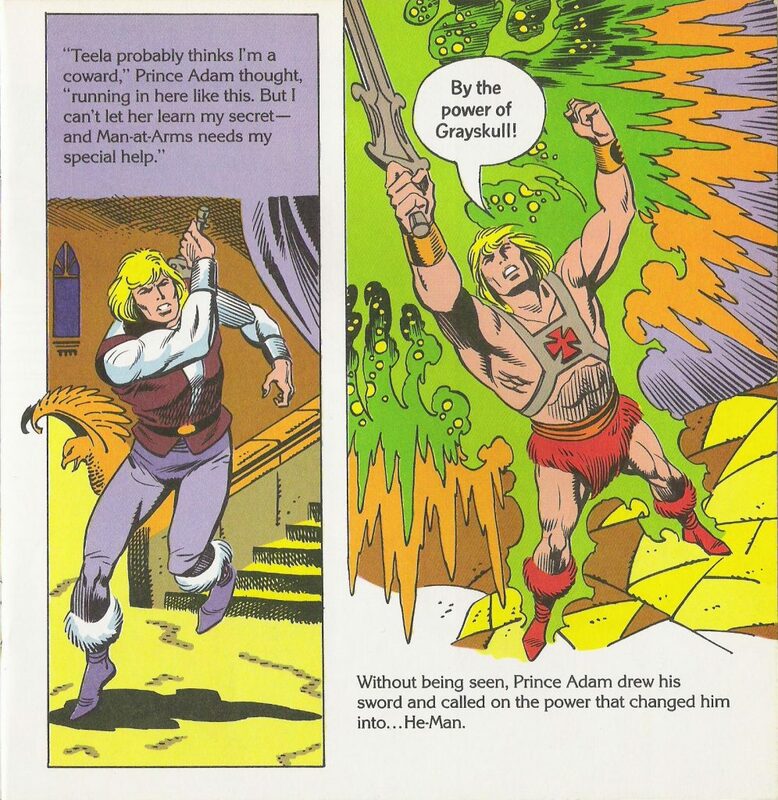 While I loved the Filmation cartoon (which debuted in September of 1983), I never gelled with Prince Adam. To me he represented a softening of the brand to something silly instead of awesome. 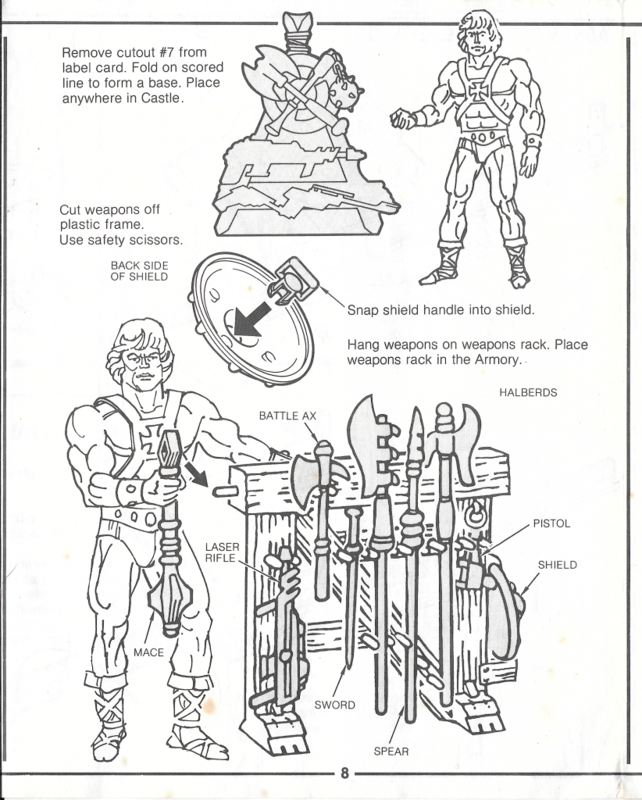 He-Man to me was about axe-wielding barbarian dudes fighting skeletons and monsters. 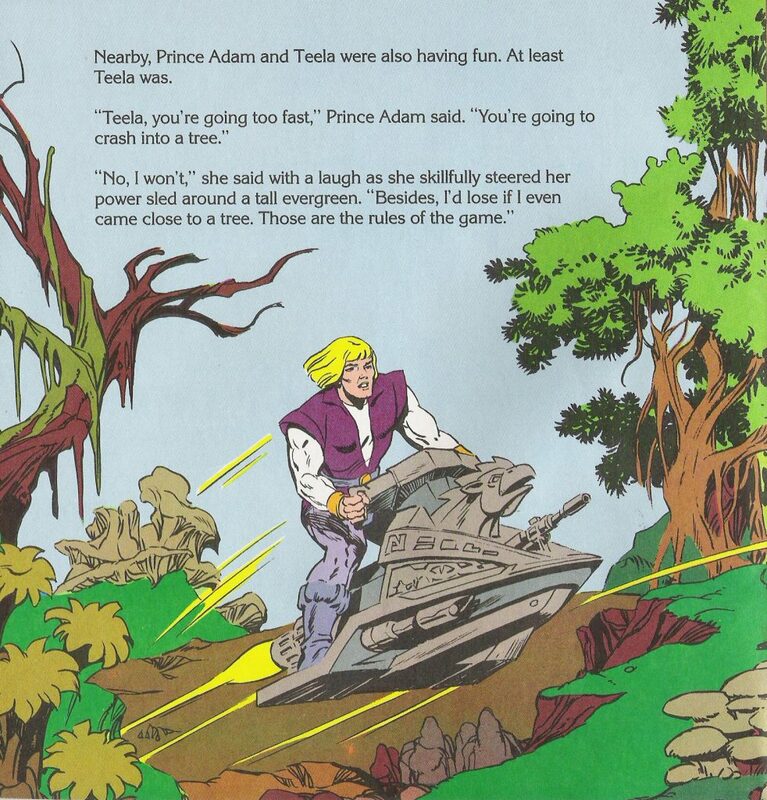 Prince Adam seemed pretty tame, and as a boy in the 1980s, I just wasn’t having that pink vest and those lavender pants. 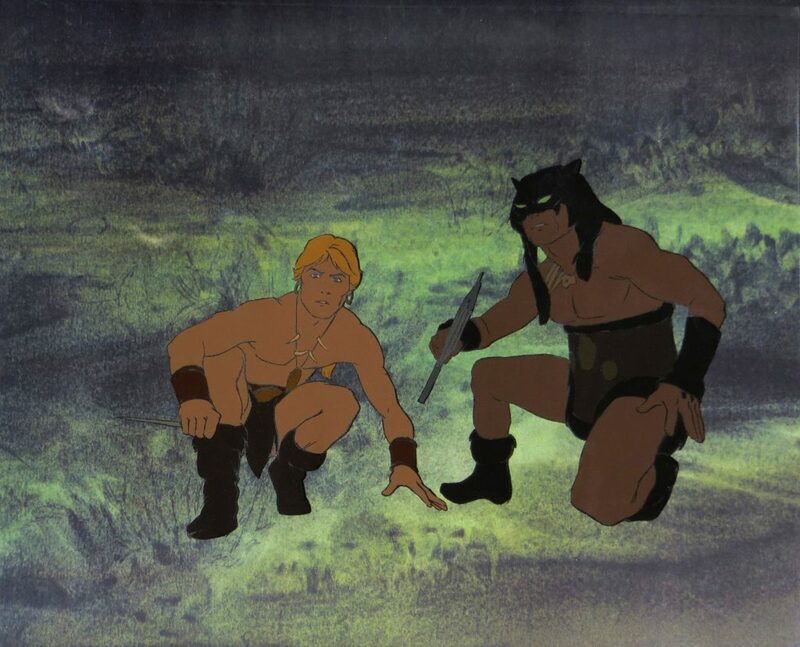 I watched the cartoon religiously, but I was always wanting the episodes to get to the “good part” where the weak Prince Adam would be replaced by the hero, He-Man. 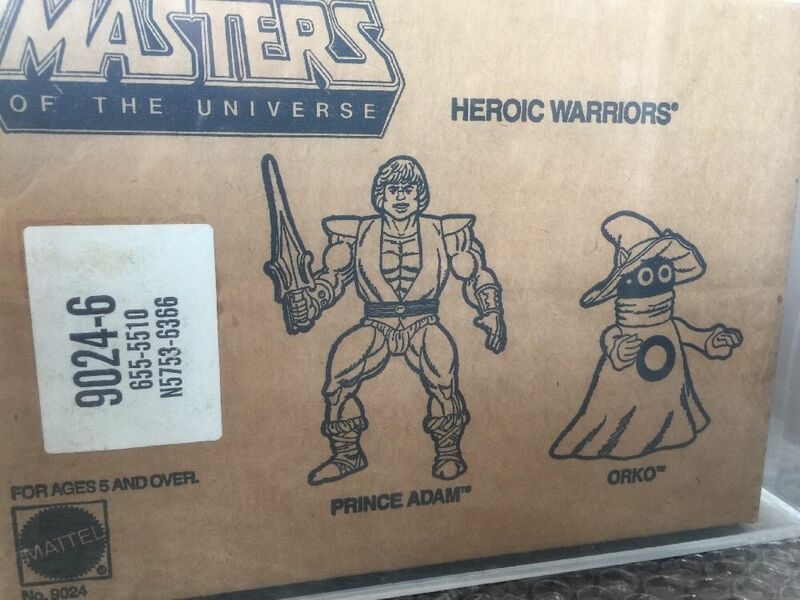 In any case, I received both Orko and Prince Adam as birthday presents in 1984. I wouldn’t have chosen either of them had I been consulted, but, on some level I was still happy to get anything He-Man related. 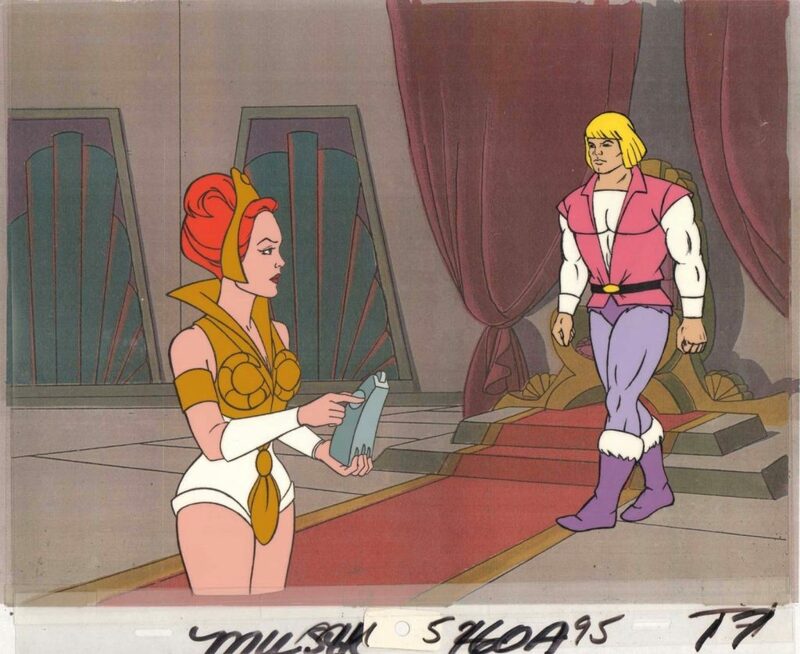 I was also pleased to note that Prince Adam’s vest had been changed from pink to dark maroon. 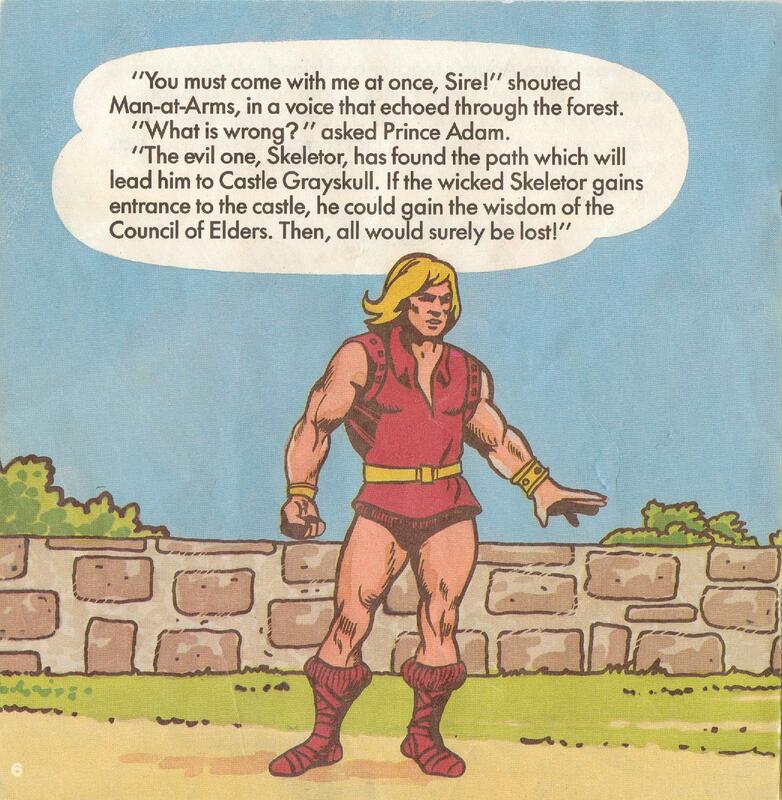 It’s unclear exactly why Prince Adam was reenvisioned as He-Man’s secret identity, but the earliest known example of that is from the July 1982 He-Man/Superman crossover comic, From Eternia With Death! In his print debut, Adam bears little resemblance to what he would become later, although there are a few points in common. He has a cowardly pet tiger, Cringer, and a reputation for being irresponsible. Unlike the cartoon version, his irresponsibility includes carousing, drinking, and getting into bar brawls. He also seems to be incredibly strong already, as he manages to tie a barbell into a knot. 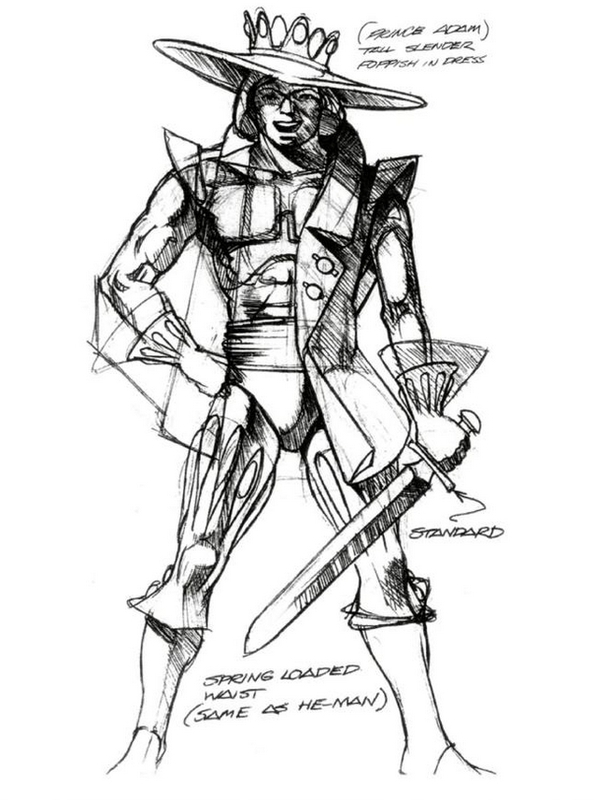 This version of Prince Adam, unlike Mark Taylor’s design, looks like He-Man in a different costume. 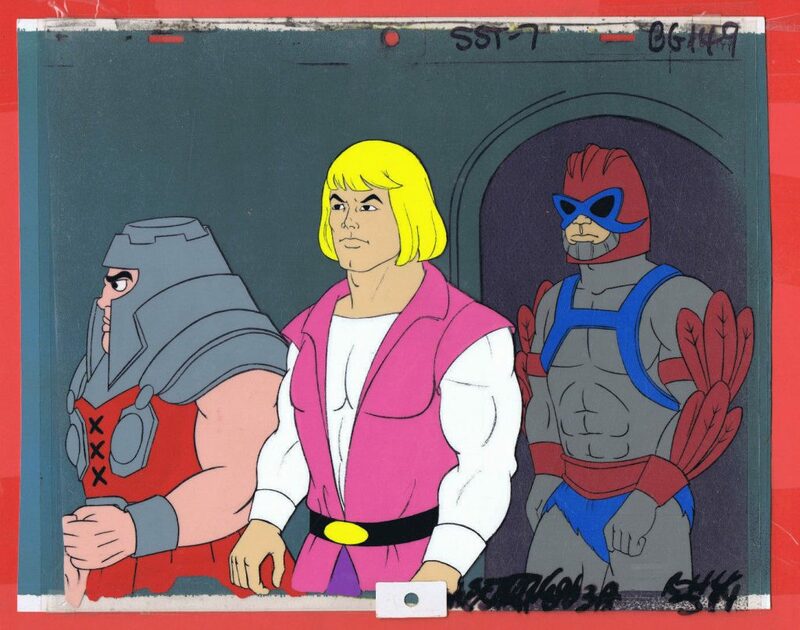 In fact, his face and hair seem to have influenced Filmation’s depiction of He-Man and Adam. He wears a kind of long blue tunic with no sleeves, sometimes with a red vest over top, and light brown/tan boots. 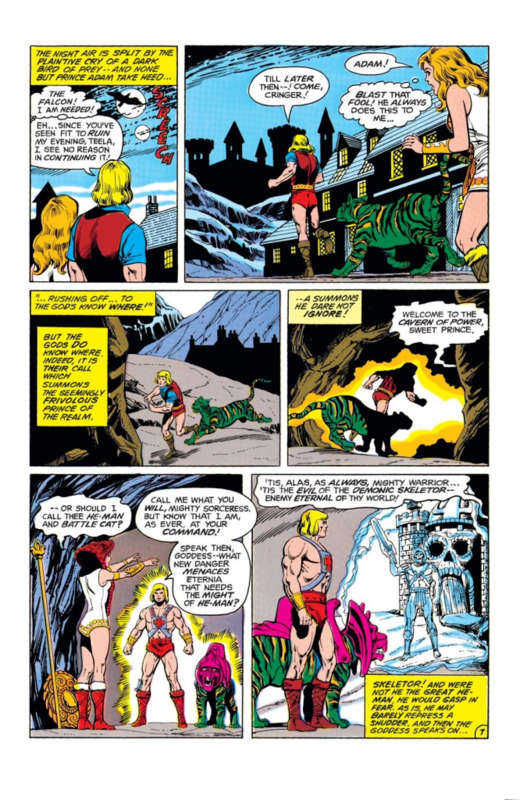 In order to transform into He-Man, he enters the “Cavern of Power” and is transformed by the Sorceress (who here looks like Teela with her red armor on – eventually Teela and this version of the Sorceress became the same character). 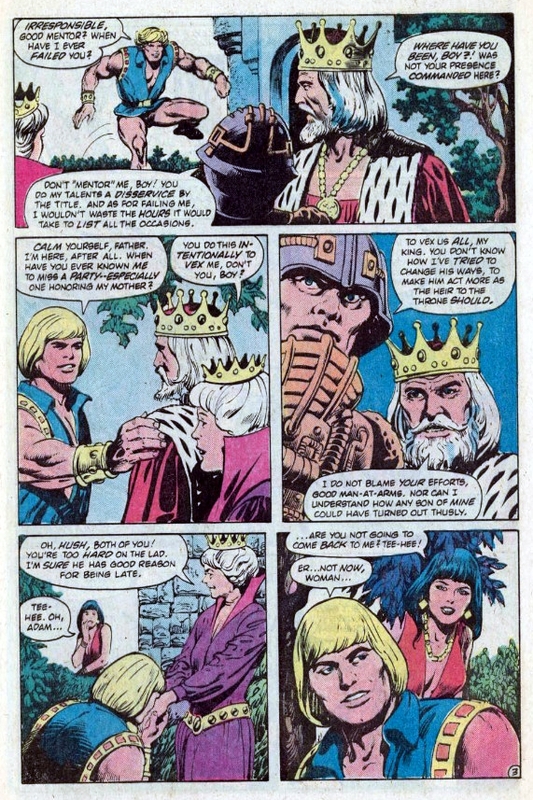 So it appears that the storyline in these early DC Comics (and, presumably, the idea to make Prince Adam the alter ego of He-Man) came about as a result of discussions between Dave Manak, Paul Kupperberg and Mark Ellis (Ellis was Director of Marketing for male action toys at Mattel at the time). Hat tip to Dušan M., who pointed this out to me. 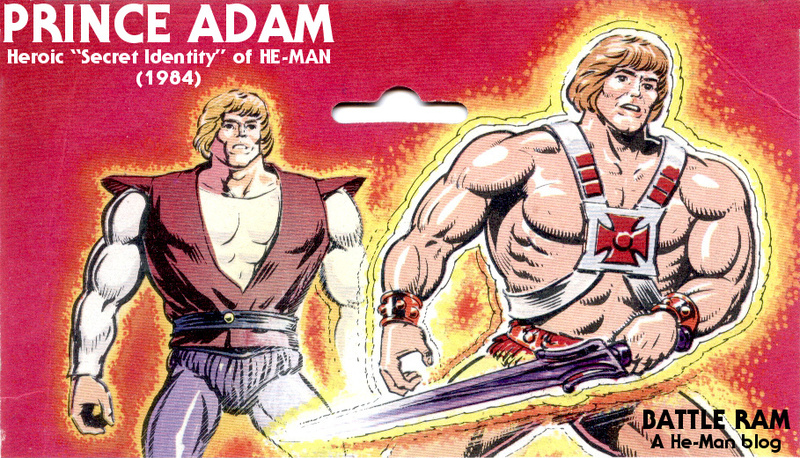 Others developed the Prince Adam/He-Man storyline. Again Adam and Cringer transform into He-Man and Battle Cat when they enter the Cavern of Power. 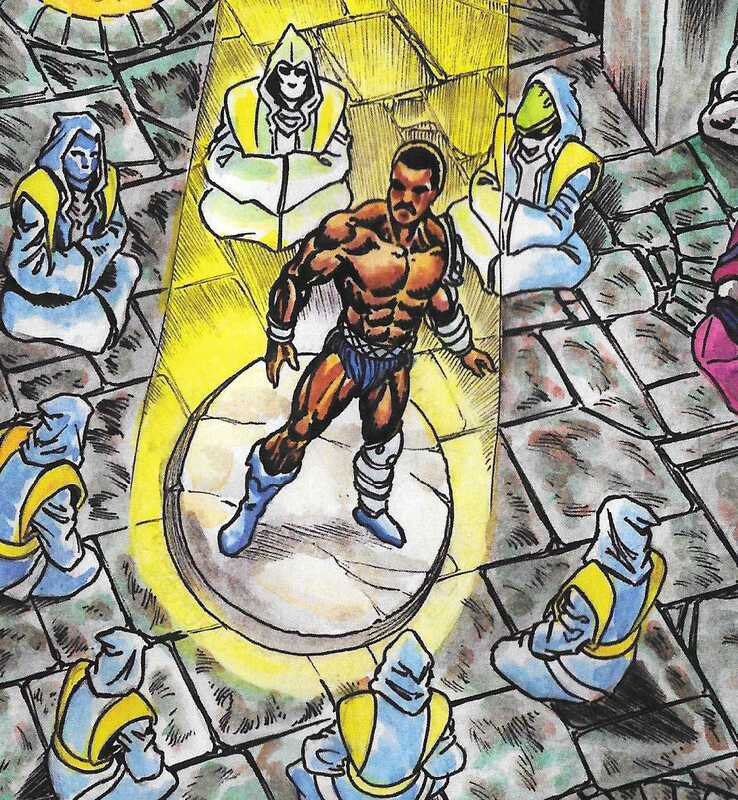 That’s the last we see of Prince Adam in the first run of DC-produced Masters of the Universe comics. 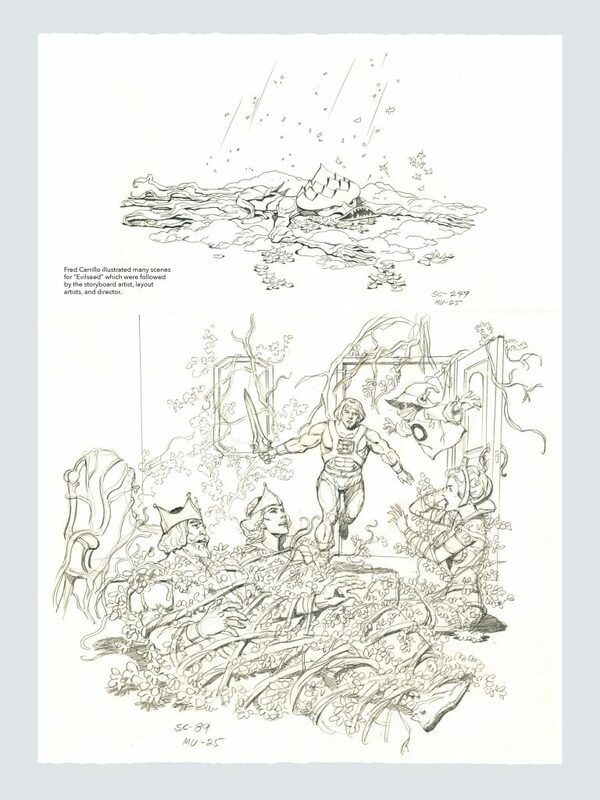 Meanwhile, on December 1, 1982, Michael Halperin finished his Masters of the Universe Bible, which would influence the development of Filmation’s storyline as well as future minicomic canon. 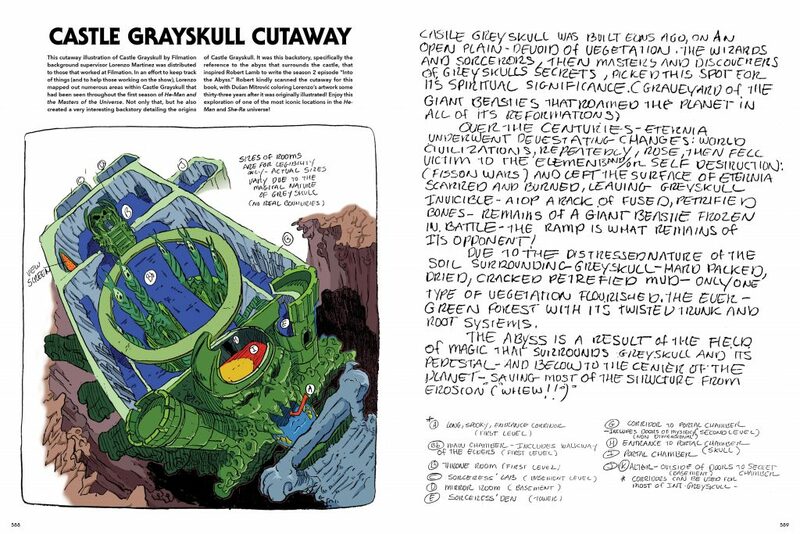 The Sorceress proceeded to tell Man-At-Arms and Adam a brief history of Eternia and how Grayskull came into existence. She withheld the story of the Council of Elders for that would be told in its time. Adam asked who this champion would be? Where did he come from? With that the Sorceress looked upon the prince with her stern, dark, wise eyes. She told him there was one who could save Eternia and the universe. Perhaps, in time, he would also rule as the true Master of the Universe along with others of good heart and true. She raised her serpent staff and out of the very air within the chamber a brilliant light gathered together into a magnificent sword which gleamed with the soul of a thousand fires. The warrior-teacher reached out and grabbed the handle. A knot of pain raced from the weapon through his hand and into his arm. As quickly as he snatched the sword he let it go. Man-At-Arms had never experienced such excruciating anguish in his life and he had been through battle where swords and lasers and photons left scars as testimony to his bravery. With a pounding heart Adam reached out a steady hand ready to retreat in a moment. He didn’t have to grasp the hilt for it floated gently into his palm. The grip felt as if it had been molded to his hand. It was light as a feather and seemed to shine brighter as he held it. Adam looked questioningly at the Sorceress. 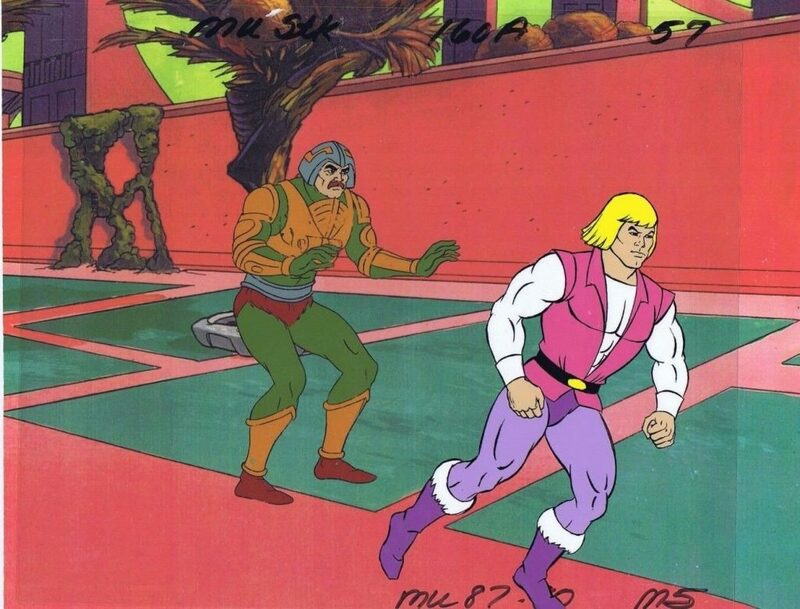 Man-At-Arms backed away from his young pupil as the guardian of Grayskull approached the prince. Standing straight and tall, Adam demanded to know how he, a mere mortal, could accomplish all the things desired by the Sorceress. Adam opened his mouth, but the words stuck in his throat. Man-At-Arms stepped to Adam’s side and prodded his student. Adam finally shouted the words. A blazing, brilliant, flaring burst of light illuminated the room. Man-At-Arms shielded his eyes from the incredible white blast of energy. The prince was obliterated from sight except for the Sword of Power which seemed suspended over the spot where Adam stood. The light faded and when Man-At-Arms opened his eyes an awesome vision stood in place of the prince. 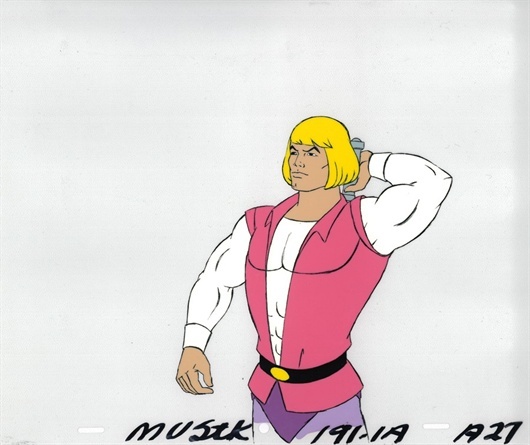 A man, vaguely resembling Prince Adam, with mighty rippling muscles, taller by a head than the prince, with wild shoulder-length hair, piercing eyes, clad in a battle kilt, buckler shod with leather boots strapped about with supple metal bands and girded by a belt of many pockets. This was HE-MAN champion of Eternia, bearer of all Eternia’s virtue. 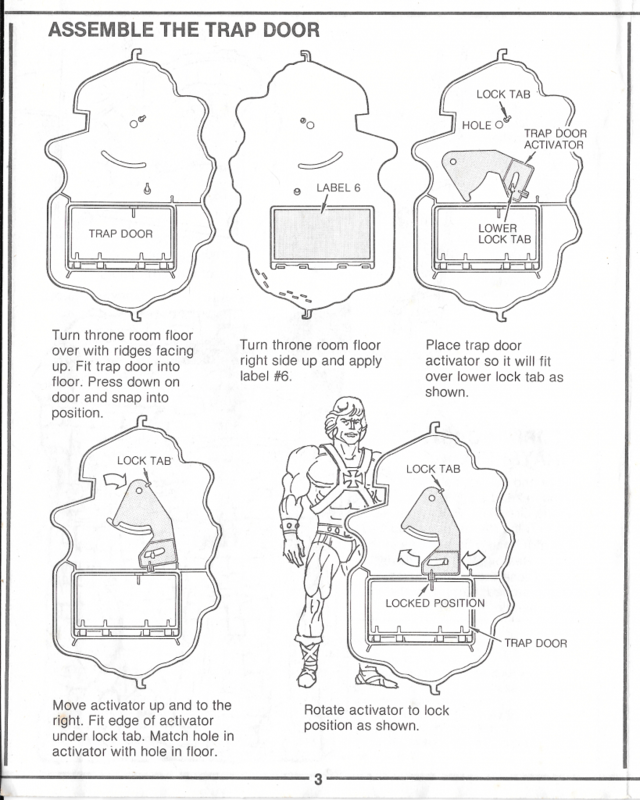 He-Man looked down and about himself in amazement. The Sorceress informed him that The Sword of Power had the ability to cut through almost anything on Eternia as well as ward off magic and sorcery. She held out a shield which almost vibrated with a life force of its own, the shield could repel both magic spells and weapons. 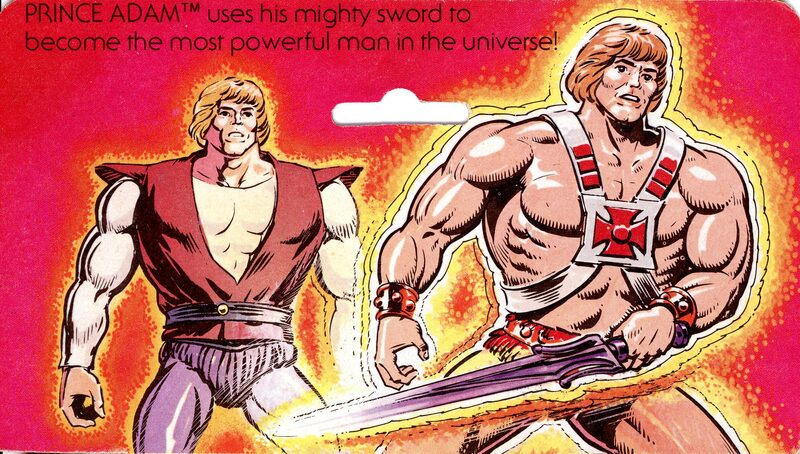 Adam using the power sword and the phrase “By the power of Grayskull” to transform into He-Man would become standard Masters of the Universe canon for the rest of the life of the vintage toyline, and beyond. 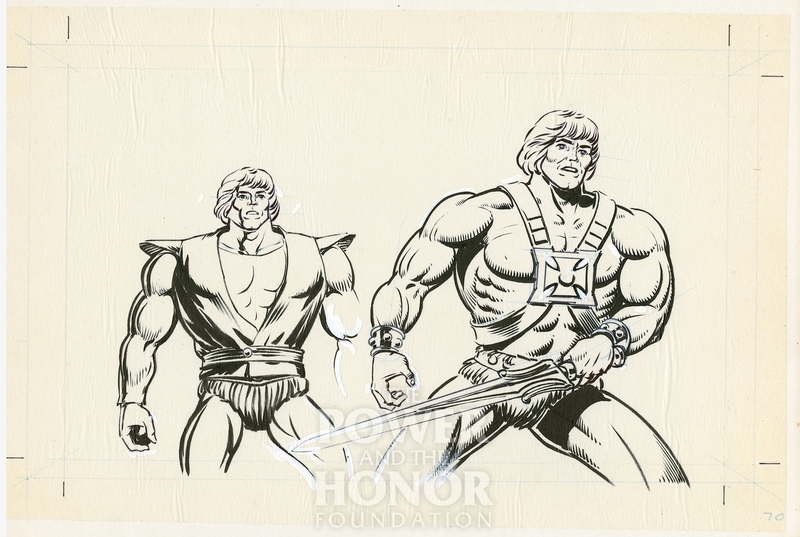 The Filmation cartoon would add the phrase “I have the power!”, but other other stories after the MOTU Bible, but before the cartoon, would stick to the Halperin formula, more or less. 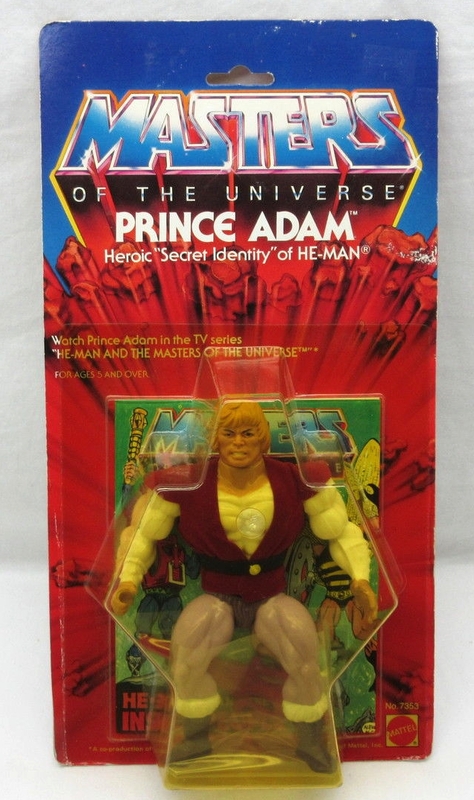 Prince Adam: I am ready to do my duty to defend this planet. 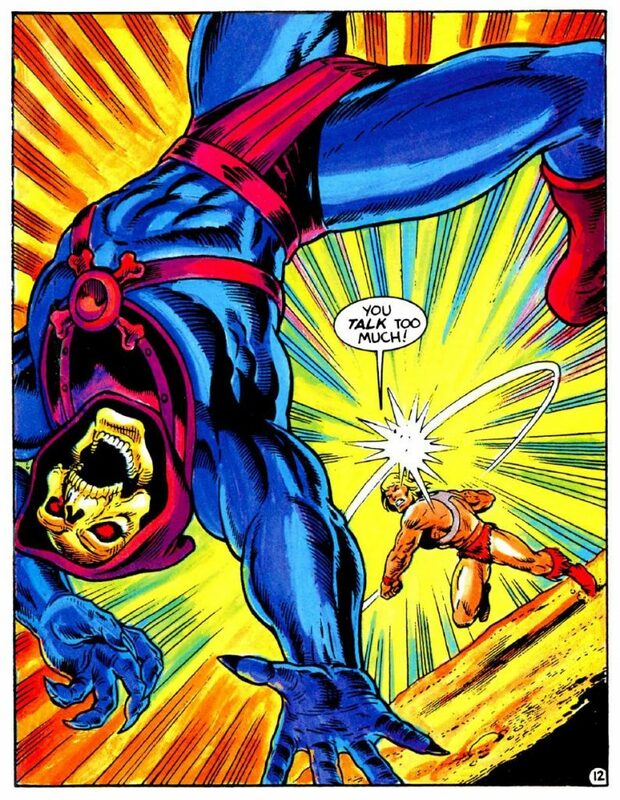 Skeletor will perish! 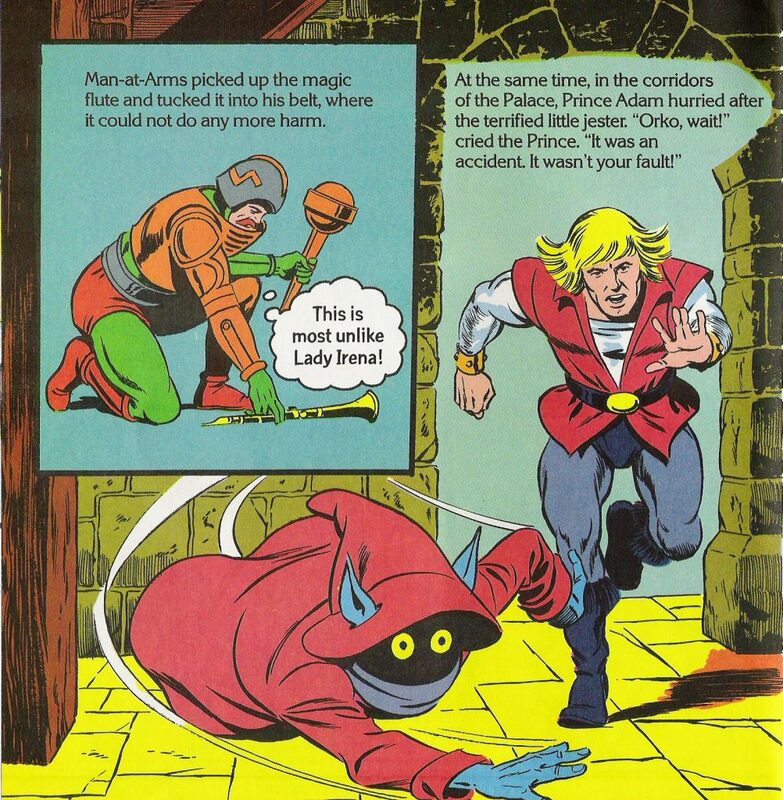 Then, in a booming voice that echoed off the Castle walls and out into the forest, Prince Adam shouted the magic words that would cause his amazing transformation. 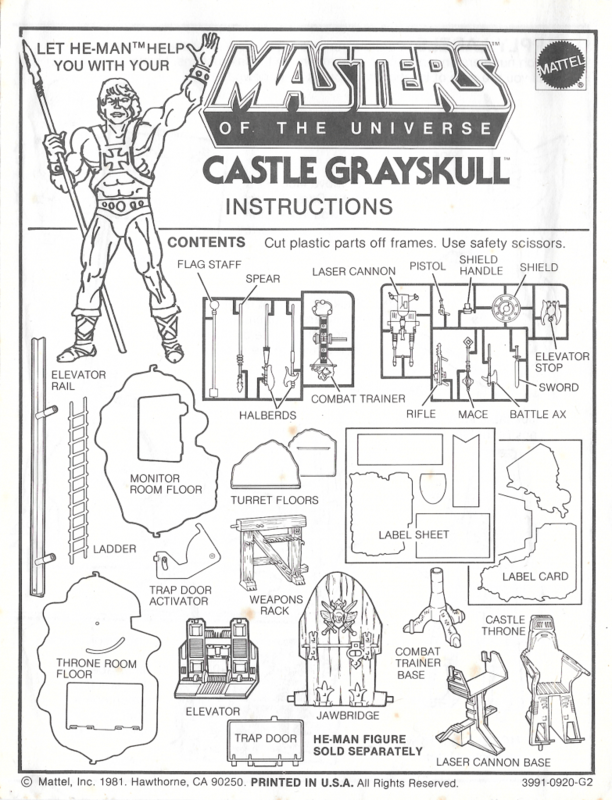 Prince Adam: By the power of Castle Grayskull, by the power of Castle Grayskull! 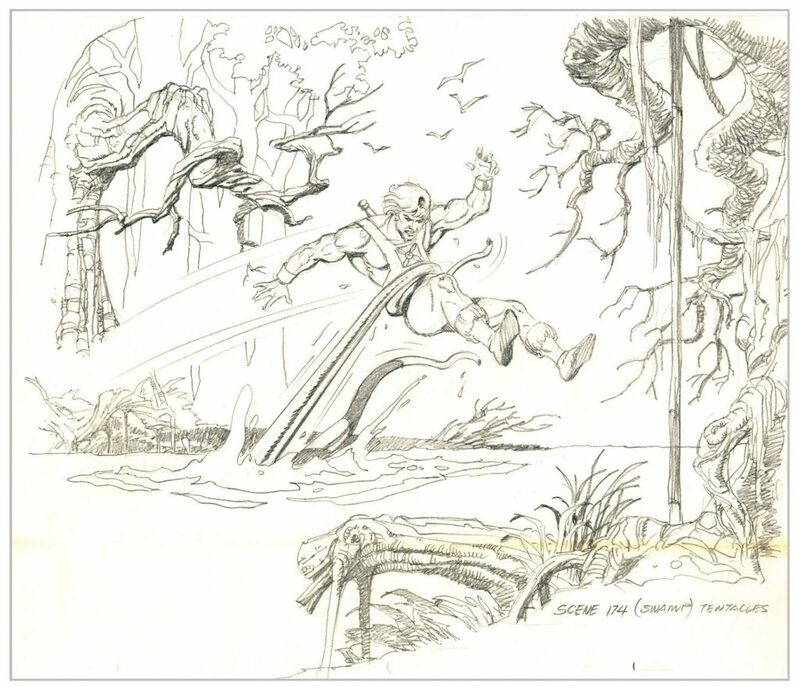 The earth shook underfoot and black clouds swept across the Eternian sky, darkening the sun. Overhead, the heavens opened up and down through the inky clouds flashed a brilliant bolt of white light. In a split second it flashed on the very tip of the sword power like a bolt of lightning. A shower of blue sparks flew upward toward the heavens. 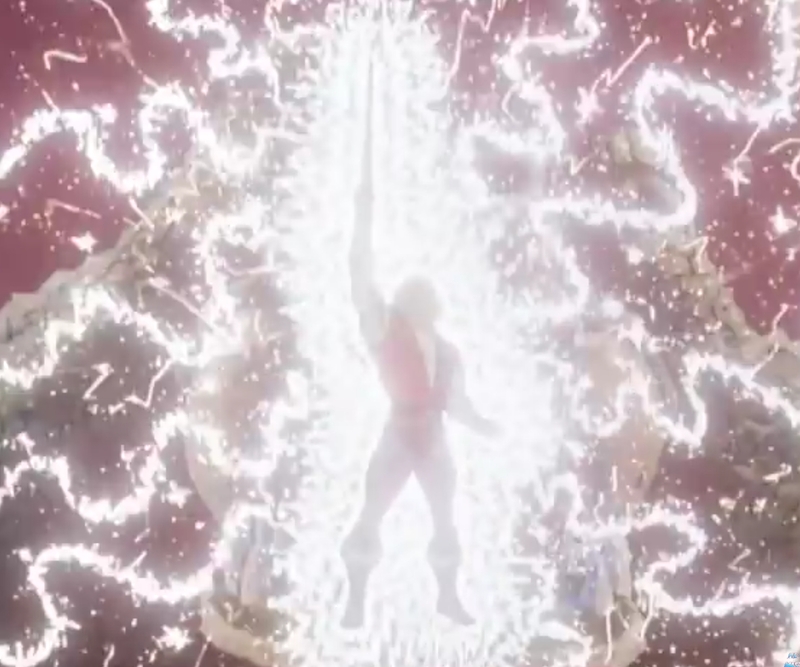 Even the gods watched on in amazement as in a blinding moment the molecules of Prince Adam’s body danced and swirled in a kaleidoscopic pattern of energy and change. 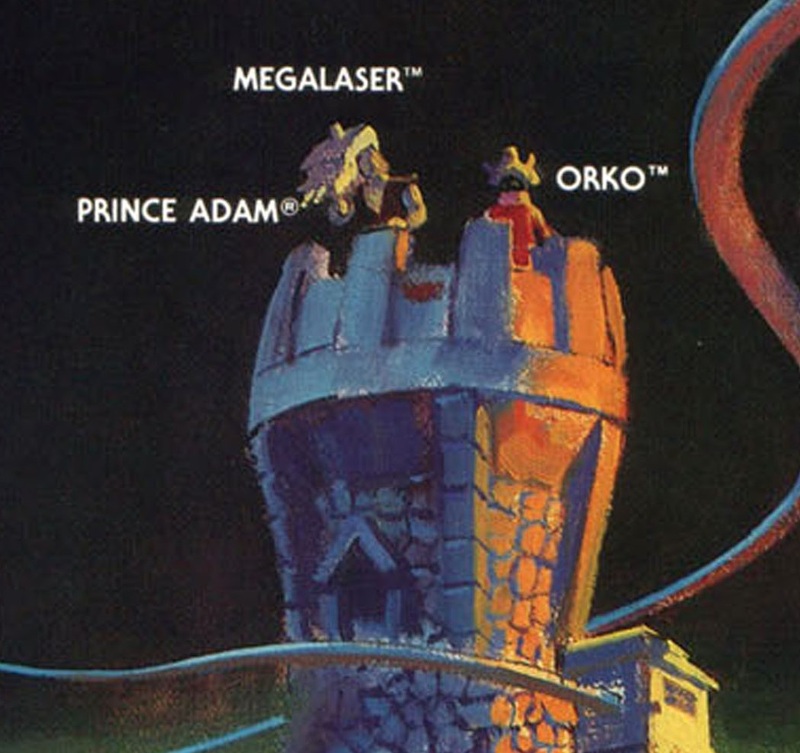 Moments later as the blue smoke cleared, Prince Adam was gone. 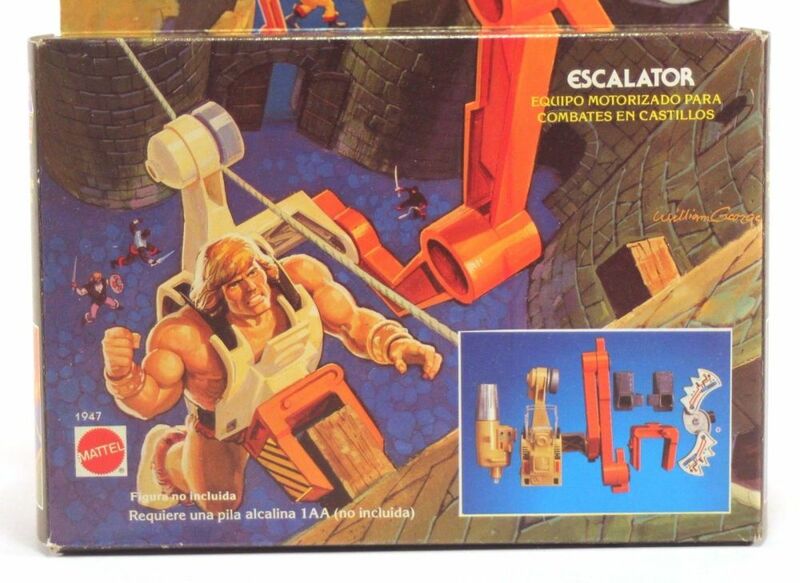 In his place, muscles poised for action, stood He-Man. 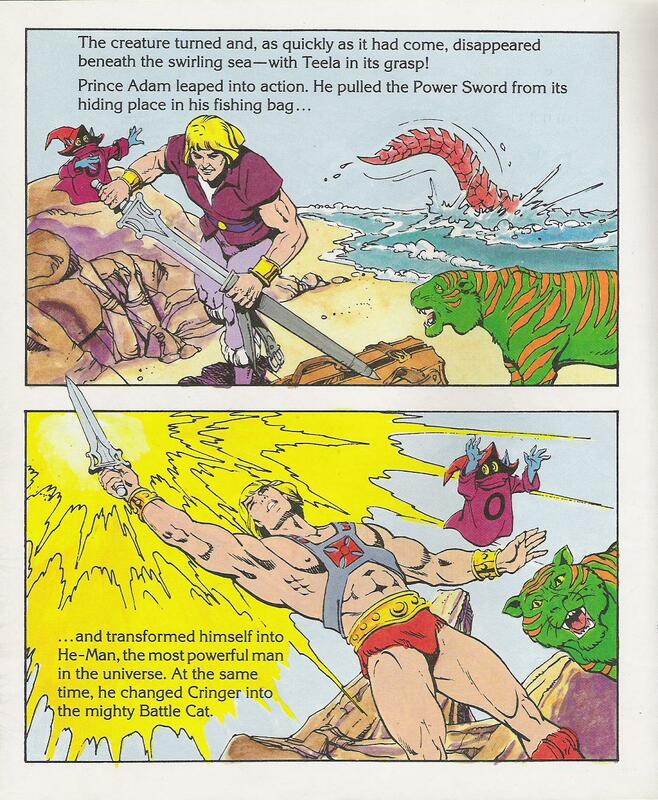 In the 1983 Kid Stuff story, He-Man and Battle Cat, we see a Prince Adam with a red costume, with a general design reminiscent of some of his DC Comics looks. The story closely follows the ideas from the Halperin Bible. 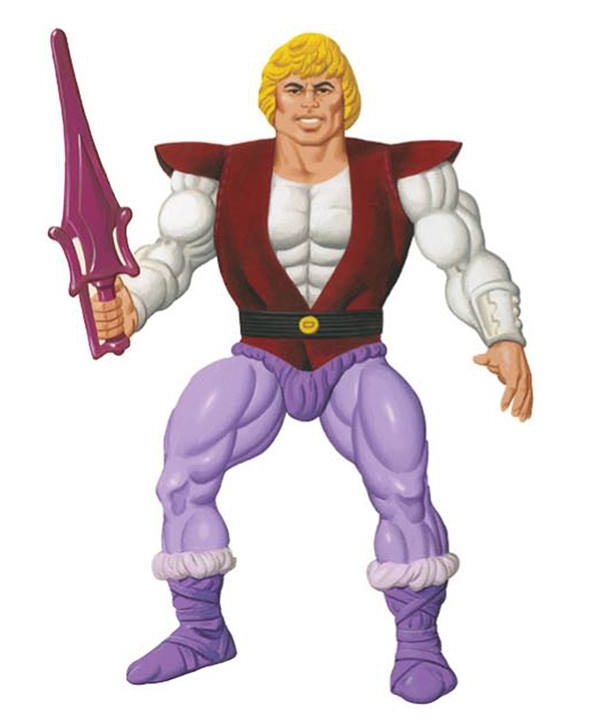 The carefree, happy-go-lucky Prince of Eternia, known to all on his home planet as a rousing free spirit who lives a fun-loving life to its fullest. The daily problems of the royal ship of state mean nothing to this charming rogue. He’s brash, bold and, to the chagrin of his parents, completely irresponsible. They hope he’ll grow out of it, but he seems to have developed a natural appetite for fun and amusement. 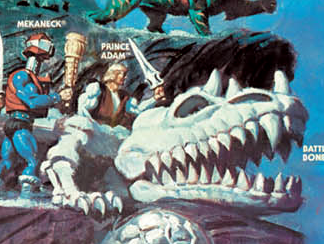 From the royal court to the distant island states of Eternia, the escapades of Adam have become legend. He constantly lands himself in the most embarrassing predicaments. 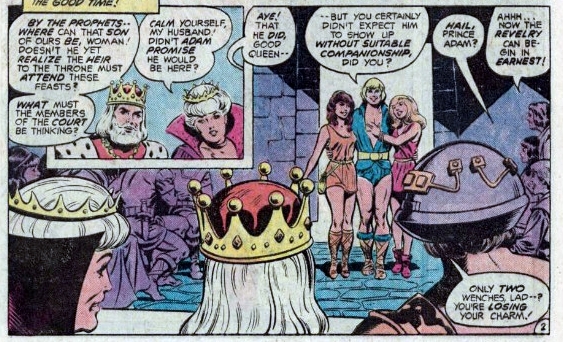 The people of Eternia are actually quite fond of the good-natured Prince and are amused by his antics. However, the King is not amused, particularly when he has had to send regiments of royal guards to retrive his errant heir! 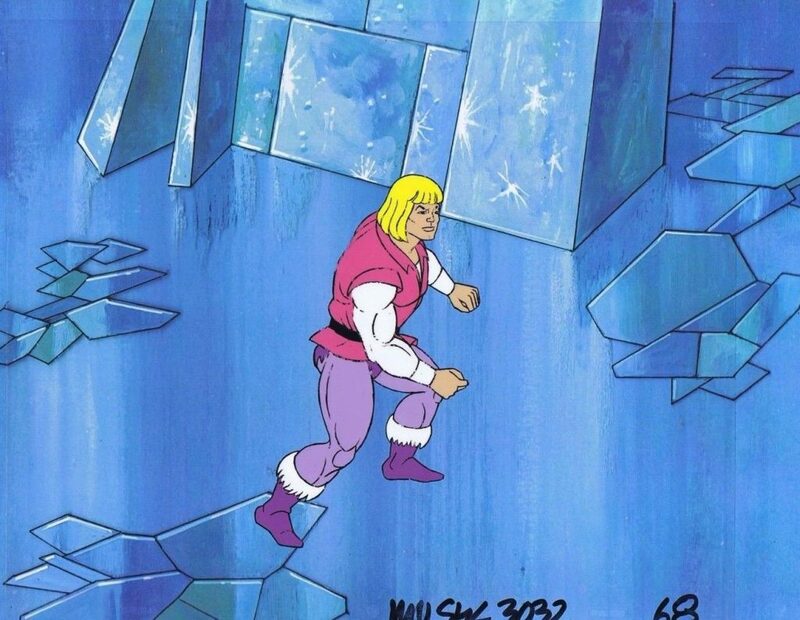 On his many sojourns, Prince Adam’s over-enthusiastic behavior helps to hid his true goal-and his true identity. On the BATTLE RAM, he travels to the turbulent areas of Eternia – or, through Grayskull’s Space Portals, he travels to the warring planets of the Universe-as an ambassador of good cheer, but also as a powerful agent of justice – HE-MAN! Where the turmoil is greatest, the Prince is mostly likely to find the evil MASTERS OF THE UNIVERSE upon such an encounter. 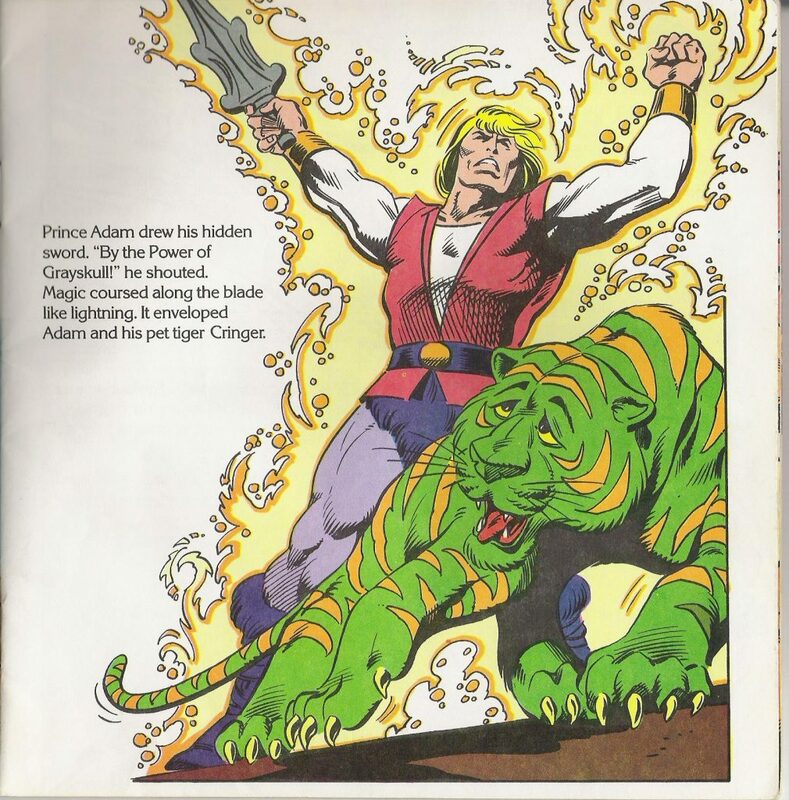 Prince Adam sheds both his royal attire and his carefree manner. 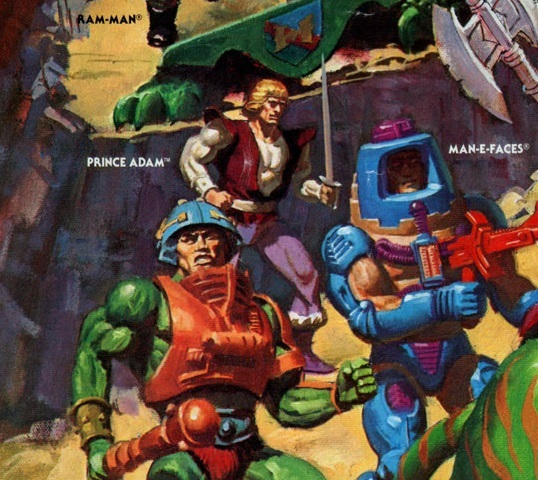 He strikes his sword against stone and “by the power of Grayskull” becomes…HE-MAN! 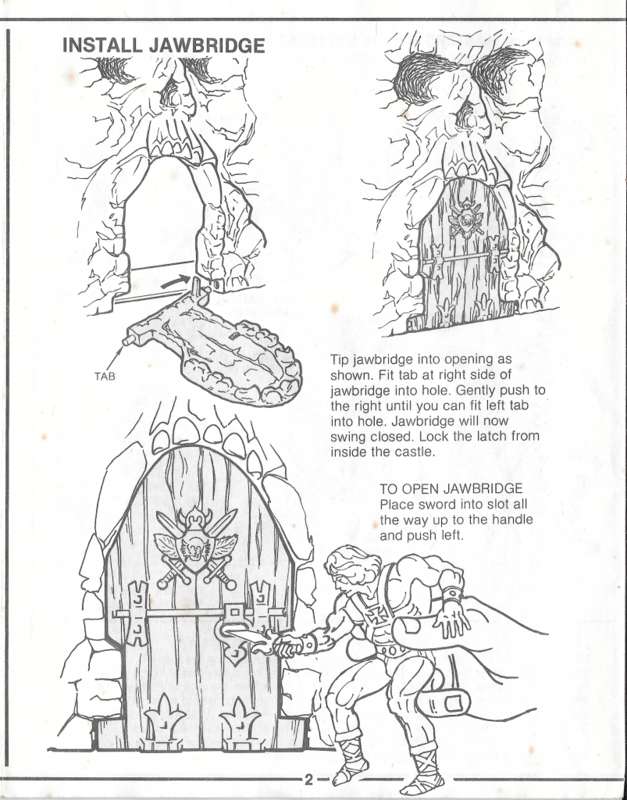 Note that in this guide, Adam strikes his sword against stone as part of his transformation sequence. This idea was never used in the cartoon. 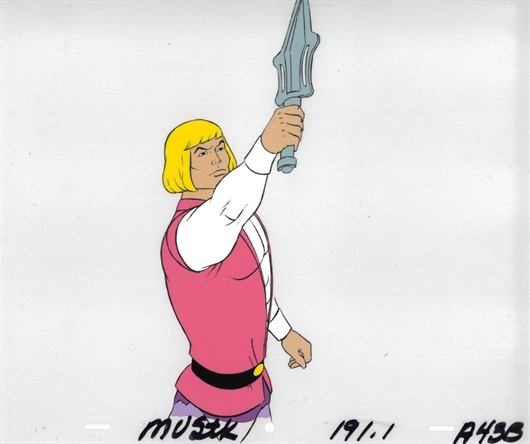 Filmation’s animated Prince Adam looked quite different than any version that had appeared previously. He was given a long-sleeved white undershirt with a pink vest, as well as lavender tights and purple boots. 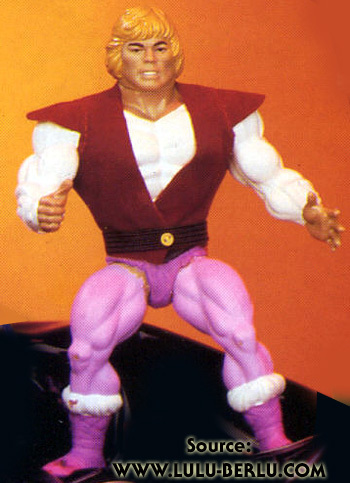 He was portrayed in the series as affecting the demeanor of a lazy Prince, but he was not given to womanizing or getting into drunken fights (Filmation president Lou Scheimer was highly concerned about instilling good values in children). 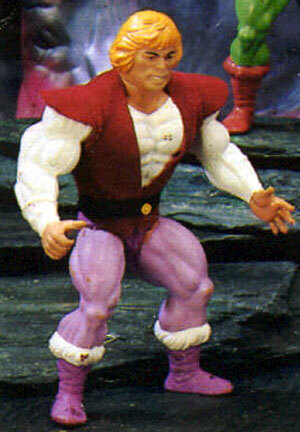 As mentioned earlier, when Mattel released Prince Adam as a toy, they gave him a darker, maroon-colored vest. 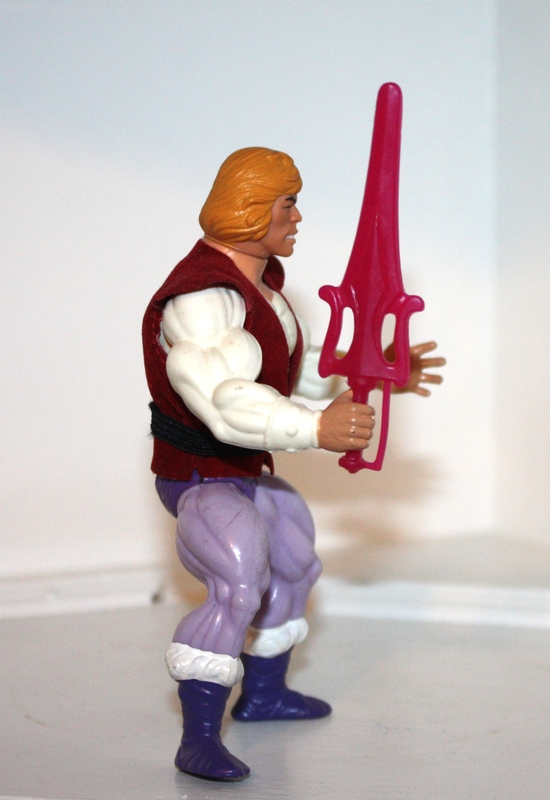 They also gave him a maroon version of the power sword. 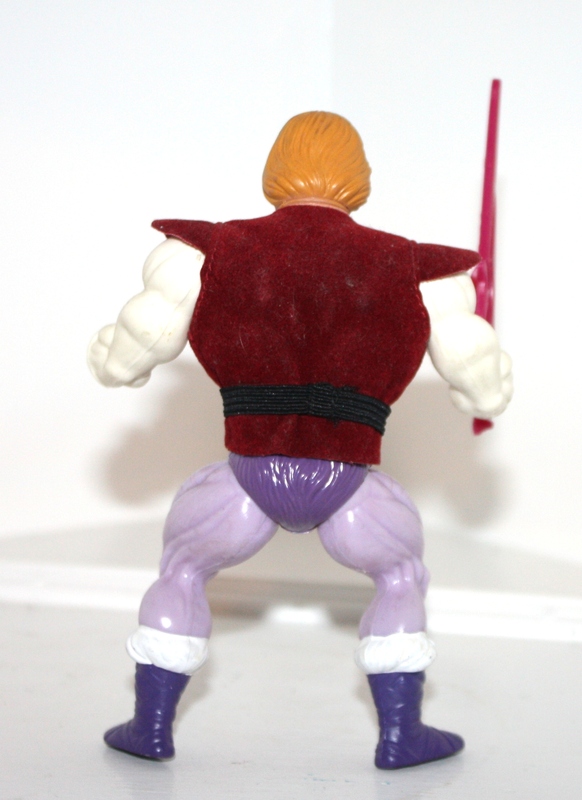 Adam was the first toy in the MOTU series to come with cloth accessories – his vest and his elastic belt. 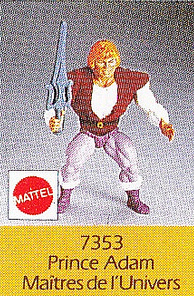 The prototype version of Prince Adam is simply a hand-painted He-Man figure with the added cloth elements (images come from Grayskull Museum). The Taiwan release of Adam had a few different versions of the vest. 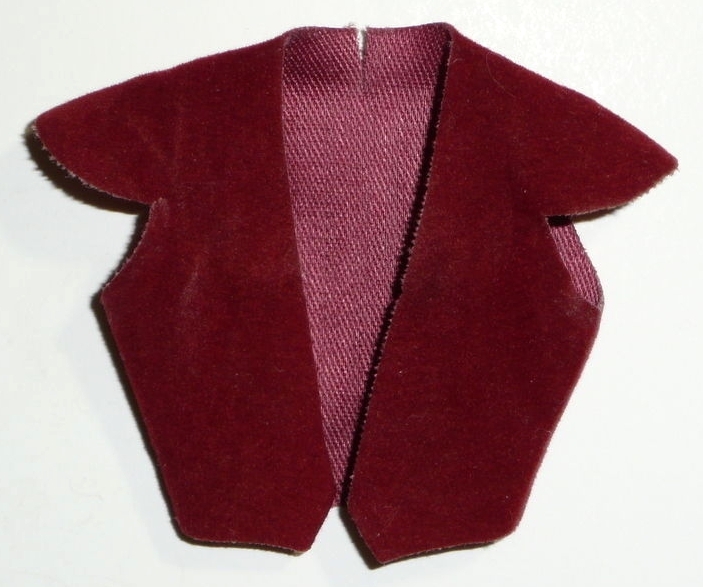 The first release had separate shoulder pieces that were sewn on. 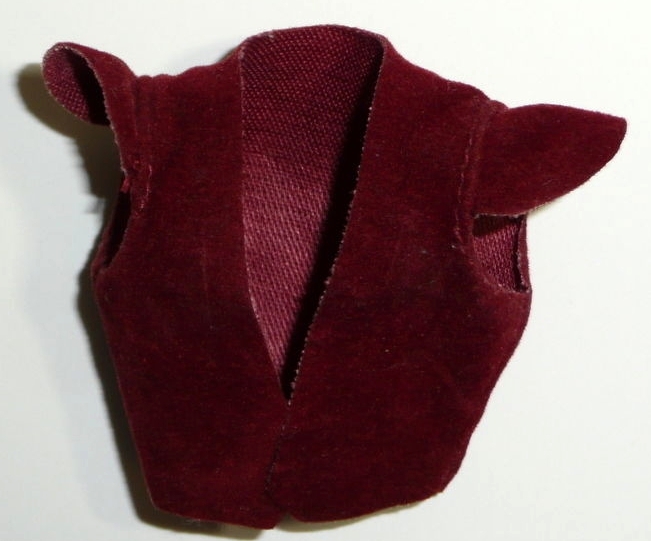 The second was a single piece of fabric, with stitching along the shoulder line. 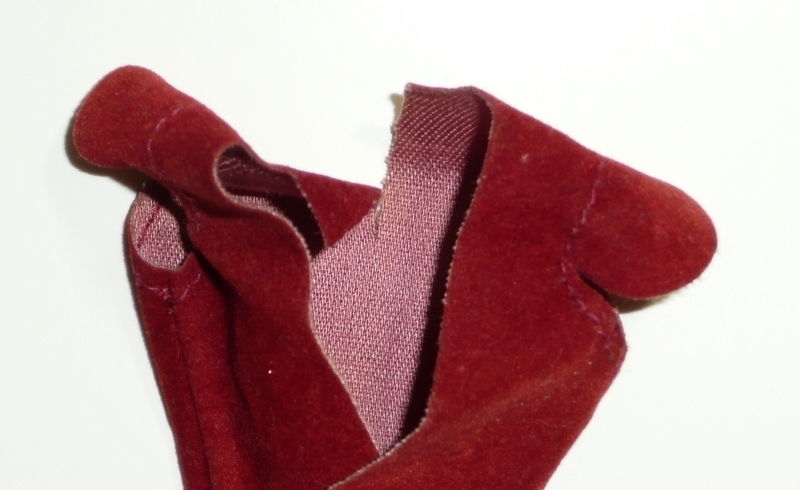 The third was a single piece of fabric with no stitching at all (hat tip to Mantisaur82). 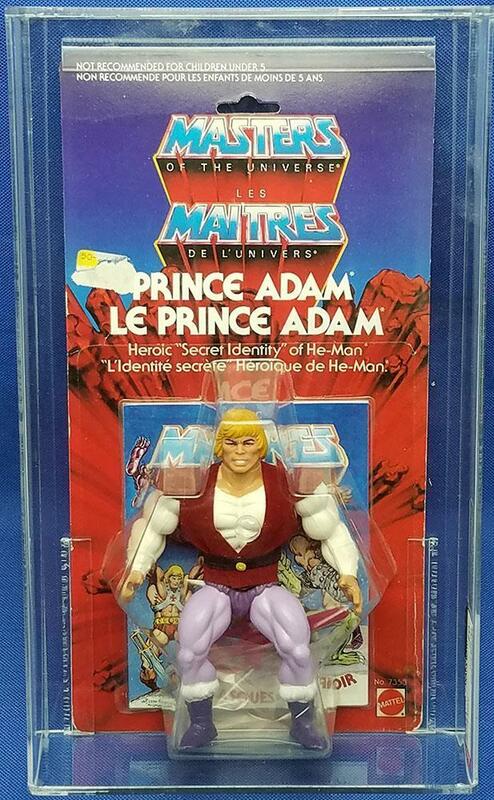 Prince Adam was trademarked on May 23, 1983, long before any other third wave character. 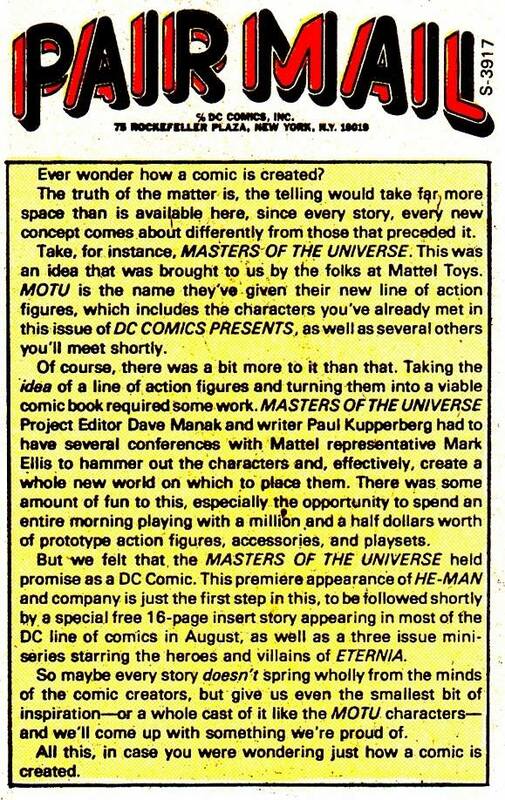 It’s possible he might have made it into the second wave of MOTU figures, but was delayed due to the development of the character for the Filmation cartoon. 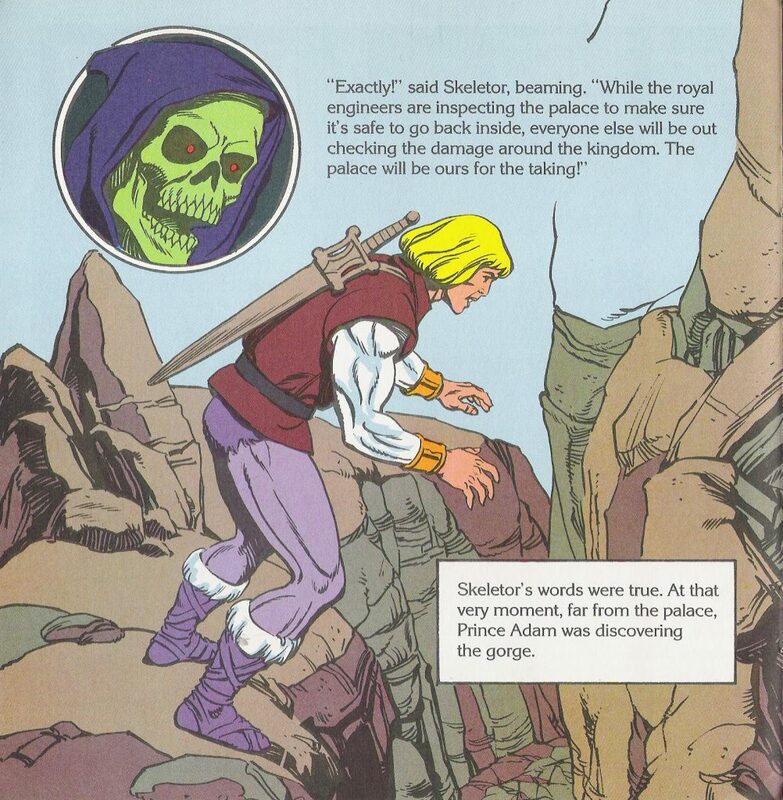 The Golden Books stories released from 1984 onward followed the Filmation look and characterization for Prince Adam. 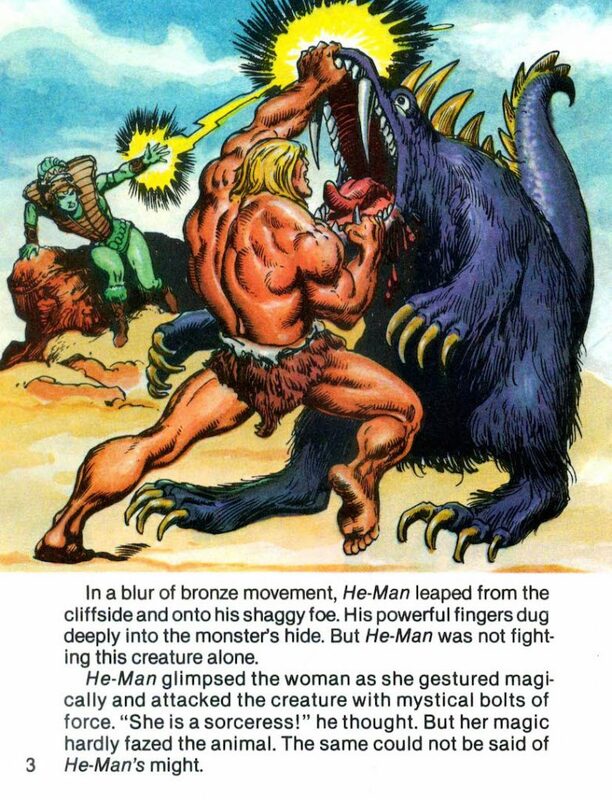 In Golden Books stories released prior to 1984, He-Man had no alter ego. 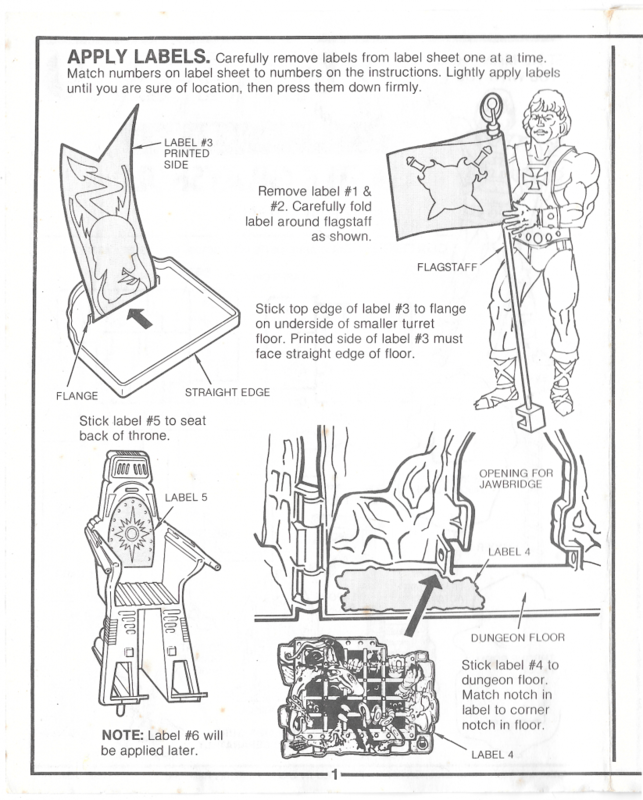 Prince Adam makes a single appearance in the MOTU box art – on the 1987 Tower Tools packaging illustration by William George. Interestingly, he appears in the same scene with He-Man, which is like portraying Bruce Wayne and Batman together. 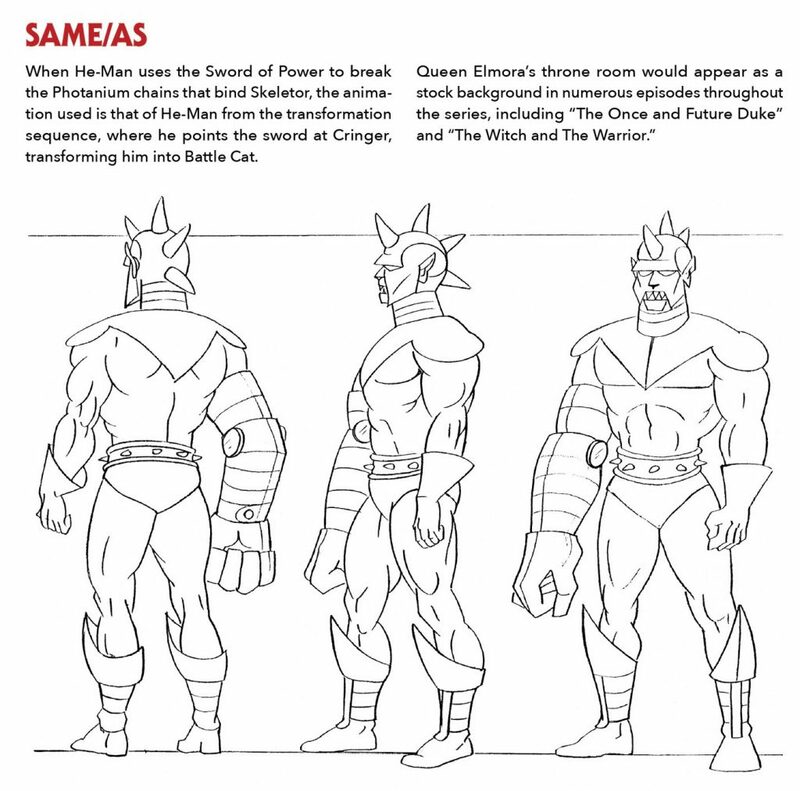 Some fans favor versions of the Masters of the Universe canon that omit Prince Adam, and others feel like he’s essential. I will say that the transformation sequence in the Filmation cartoon is iconic and thrilling (even if perhaps overused given that every episode started with it), and there is something to the idea of a weak character powering up to take down the villains (similar to DC Comics’ Shazam character). On the other hand, it’s hard to root for Prince Adam. He’s the spoiled and wealthy heir to the throne of a vast kingdom. It’s like trying to root for the the popular jock who already has everything and gets the girl in the end. 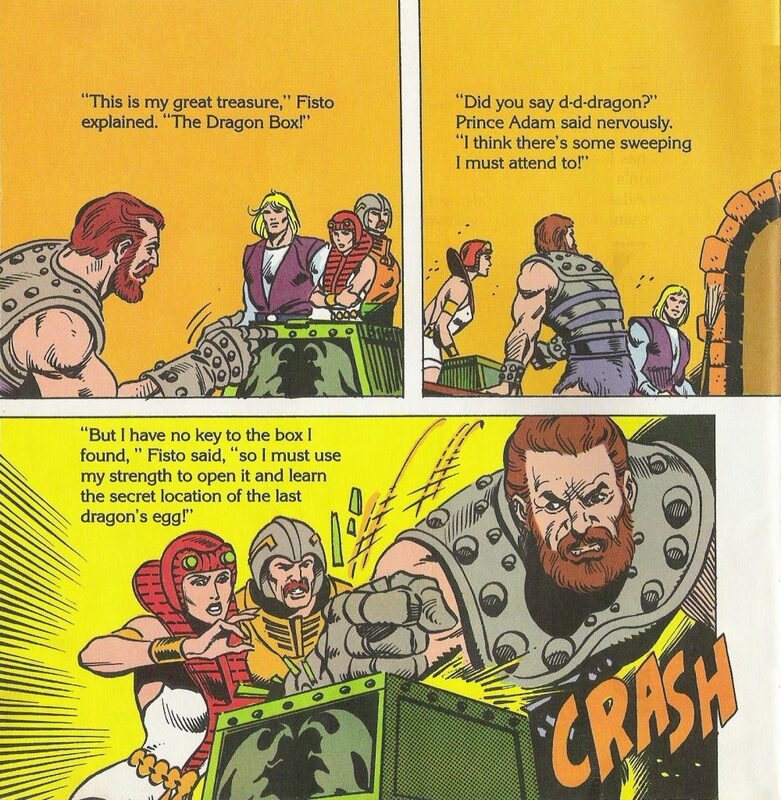 If there had to be an alter ego for He-Man, I would think that an underdog type character would have been more effective, and easier for fans to relate to than a prince. 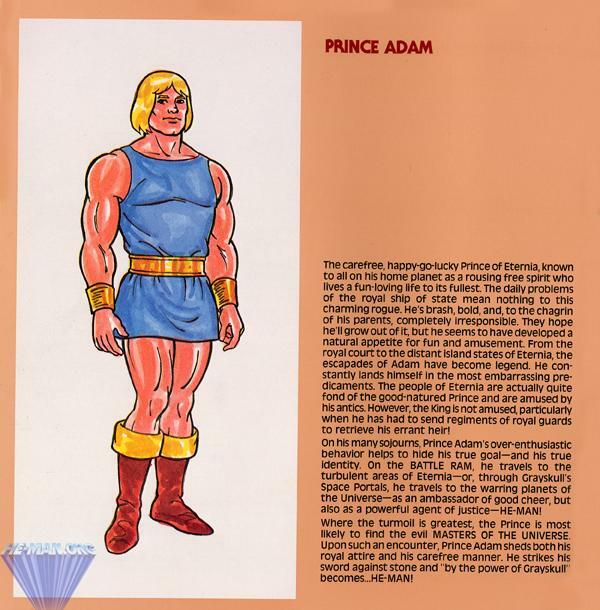 Fans who don’t like Prince Adam tend to prefer what is called the “pre-Filmation” canon, although as we saw earlier in the article, Prince Adam is just as about as pre-Filmation as it gets. 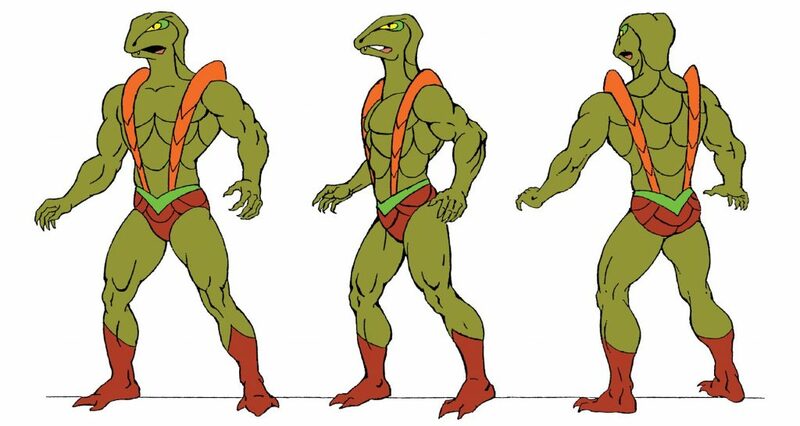 I think his portrayal in the Filmation cartoon is so ubiquitous that some fans tend to forget that he was a frequently-depicted character long before the debut of animated show. 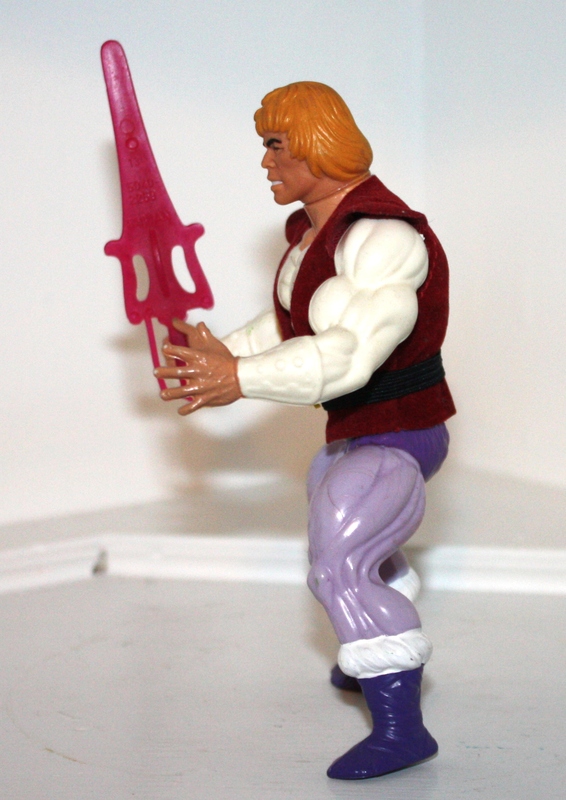 Special thanks to Larry Hubbard, who provided the example Prince Adam figure photographed for this article. 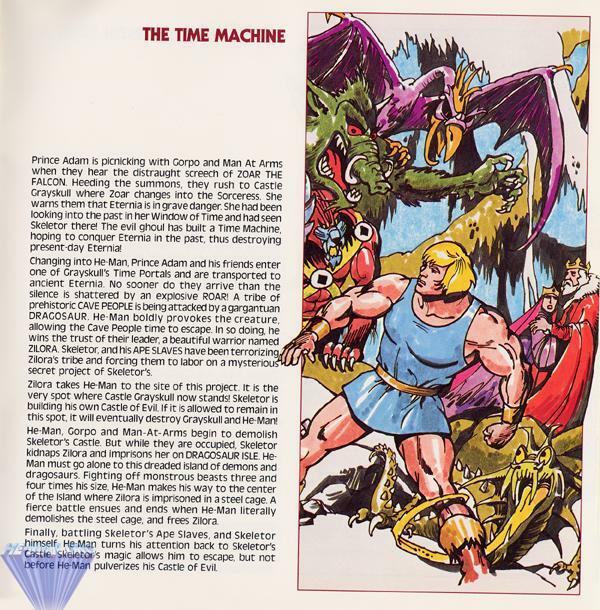 Masters of the Universe was a unique blend of classic barbarian sword and sorcery high adventure crossed with the high-tech drama of Flash Gordon and Star Wars, with a splash of color and gimmickry to make it irresistible to six-year-olds. So what happens if you take Masters of the Universe and peel away the science fiction elements while keeping the colorful characters? 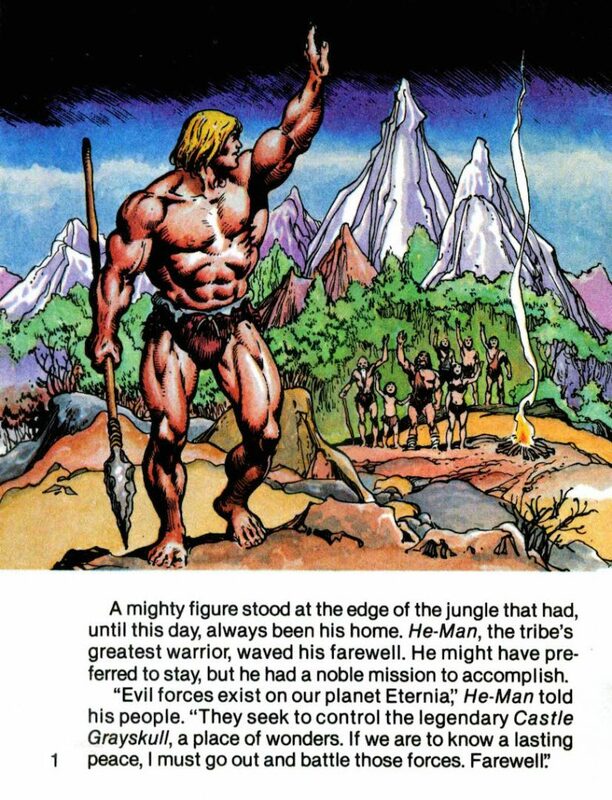 You get something very much like The Bearer and the Burden, a new He-Man inspired minicomic from Hammer of the Gods. 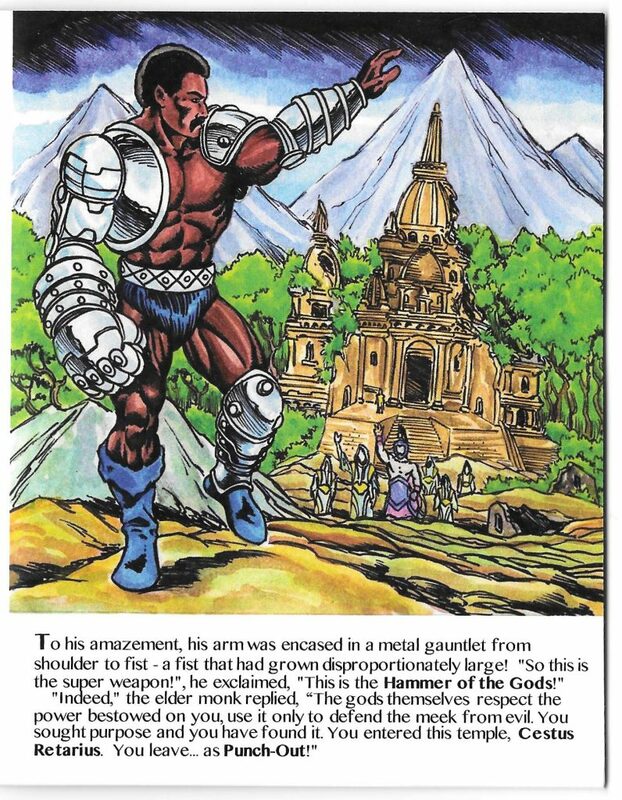 The world of Hammer of the Gods is not simply Masters of the Universe minus the techno-gadgetry, however. 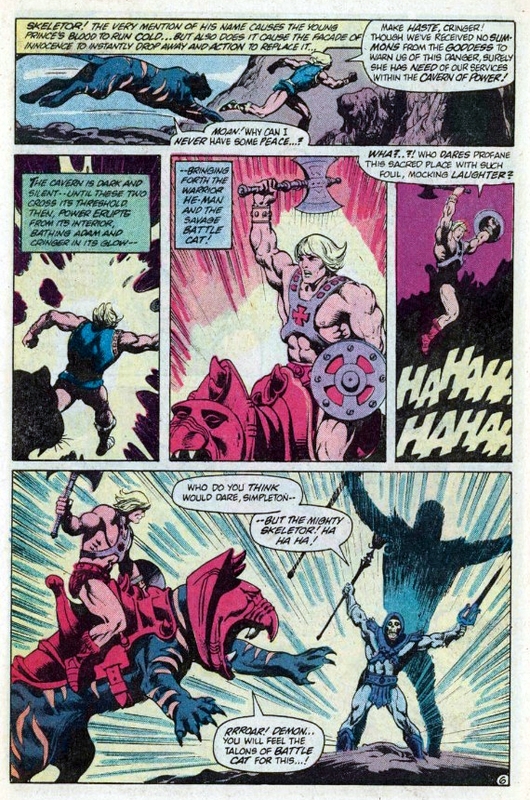 He-Man bears the unmistakable influence of Conan the Barbarian, but He-Man’s morals were totally different. 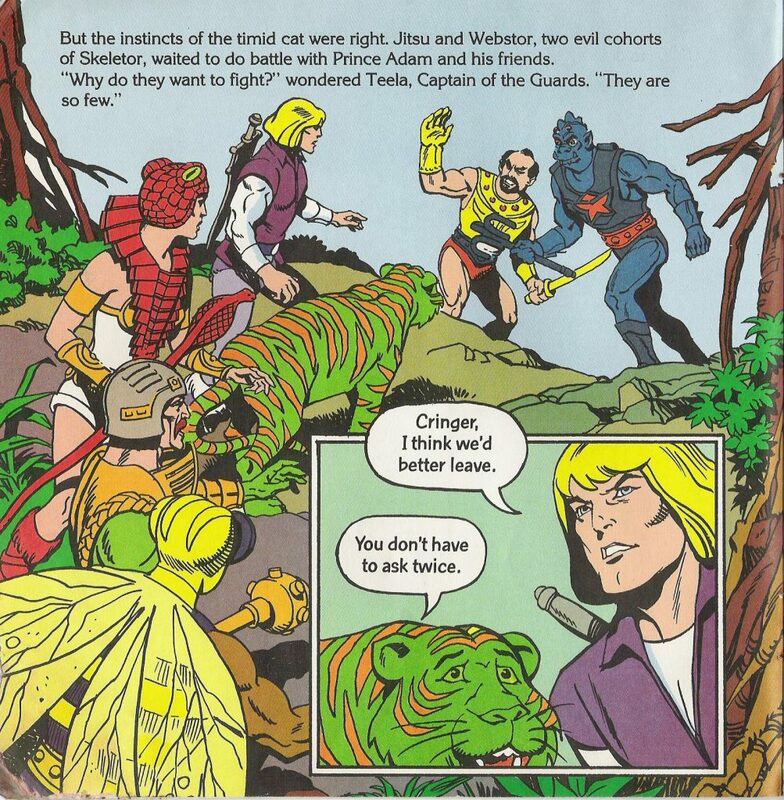 He-Man was always a selfless protector, even from his earliest “savage” minicomic days. Conan, driven mostly by id, was ever looking out for number one, even if he grudgingly got pulled into solving other people’s problems. 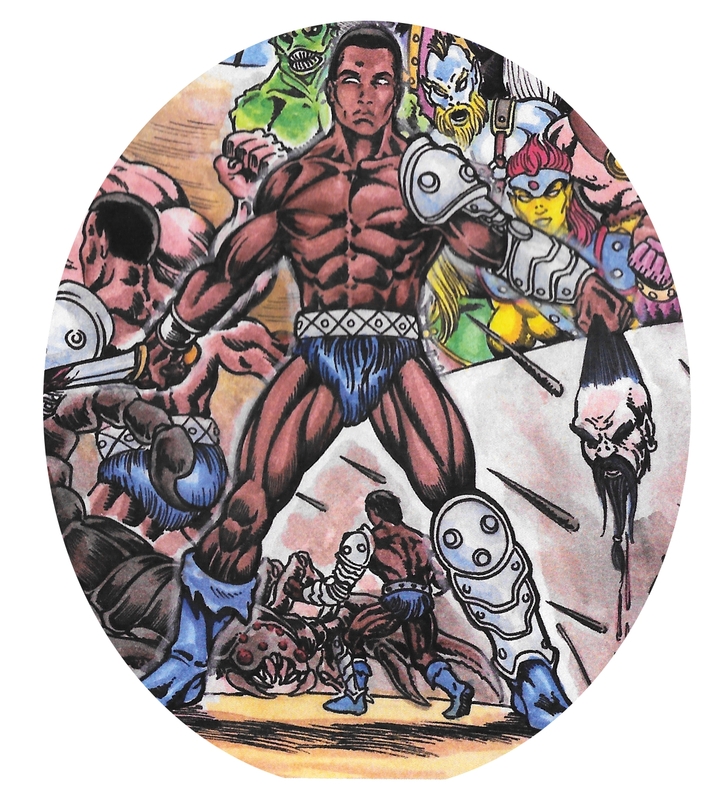 Punch-Out, the protagonist of Hammer of the Gods, splits the difference between the He-Man and Conan – that is to say, he is a tireless protector of the innocent, but he is frequently driven by ego. In that way, Punch-Out is also a little like Dagar the Invincible. 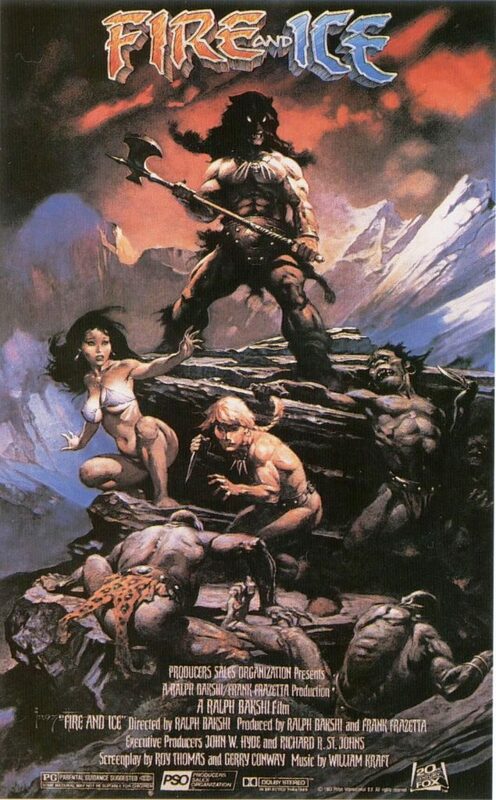 He-Man is perhaps a bit closer to Larn from Fire and Ice. 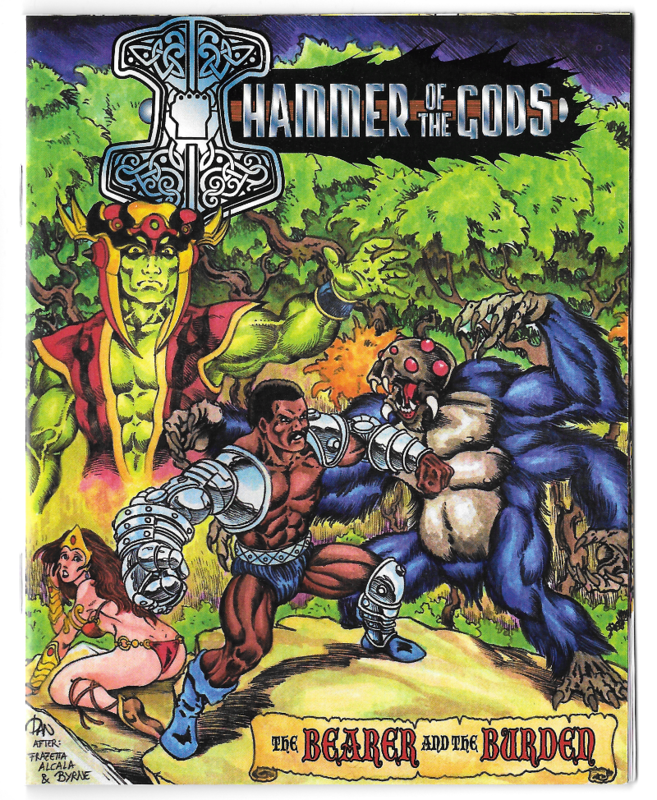 The Bearer and the Burden was written by Hammer of the Gods creator Walter Harris, and illustrated by Daniele Danbrenus Spezzani. 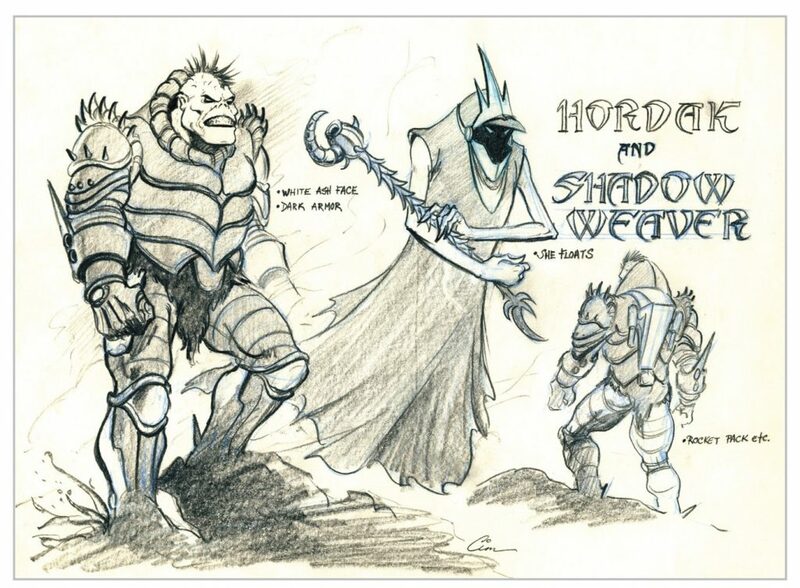 Harris is best known for his custom HOTG and Thundarr the Barbarian action figures. Danbrenus is known for his original minicomic illustrations done in the style of the legendary comic book artist, Alfredo Alcala. 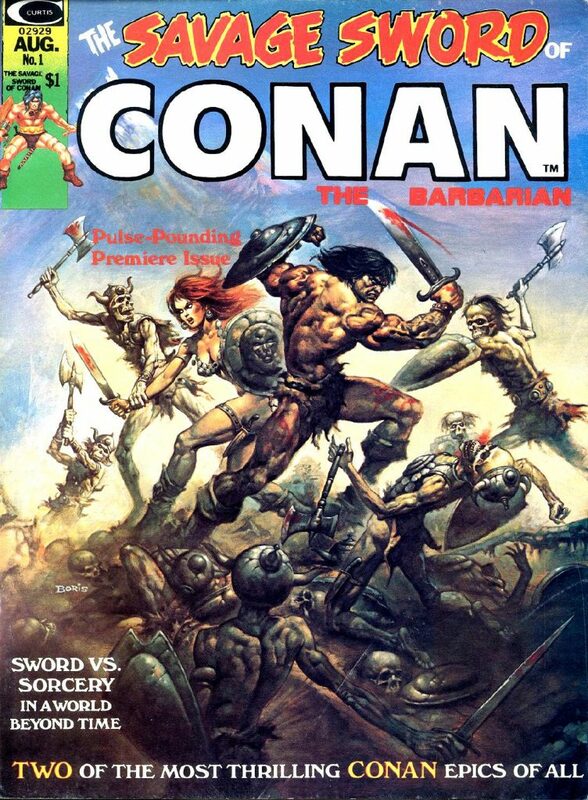 (Alcala actually worked on both He-Man and Conan, among other properties.) Danbrenus, like Alcala, works in inks and water colors rather than digital media, and the extra effort toward greater authenticity really pays off here. 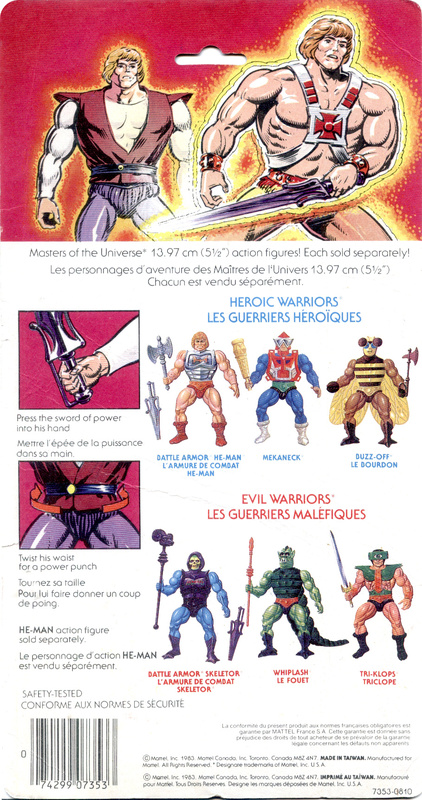 The Bearer and the Burden is formatted like the original “adventure books” (illustrated by Alfredo Alcala) that came packaged with the first wave of He-Man figures. 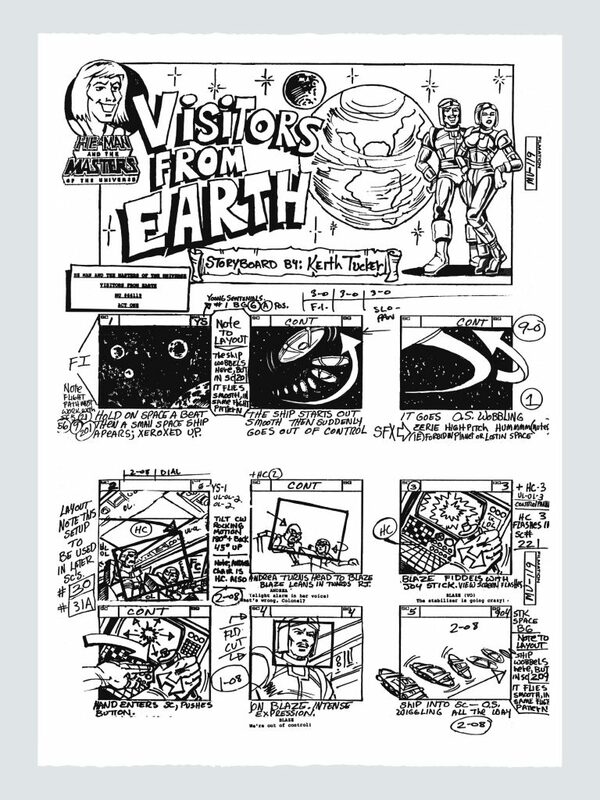 Each page has a single illustration and about 75 words of text at the bottom. Unlike conventional comic books, there are no word balloons. We begin with Punch-Out, whose real name is Cestus, a gladiator fighting to win his freedom. 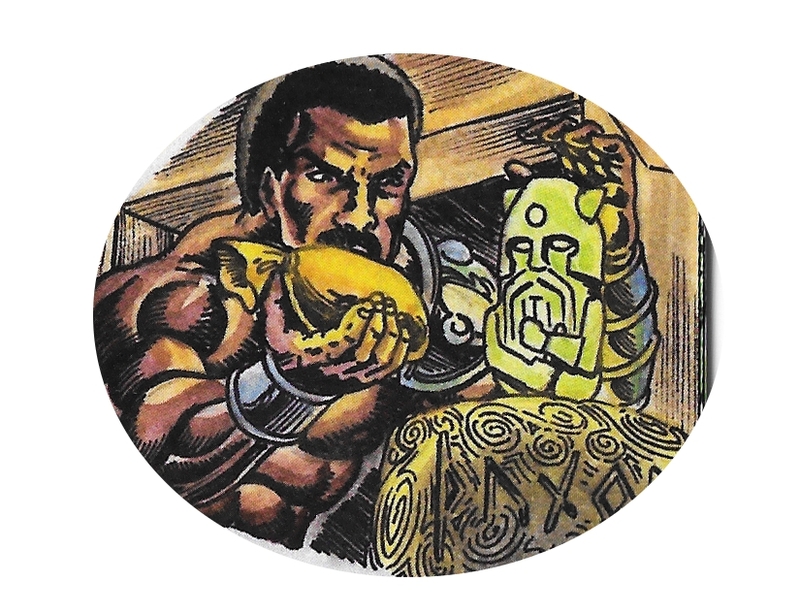 Already we see a tonal shift away from the kid-friendly He-Man comics, as Cestus is pictured holding the severed head of one of his opponents. In his post-gladiatorial life, Cestus relentlessly seeks purpose by throwing himself into danger, in a sequence with some amusing nods to Tarzan and Indiana Jones. The comic doesn’t take itself too seriously, but the humor is subtle enough that it doesn’t take the reader out of the story or erase the stakes in our hero’s journey. 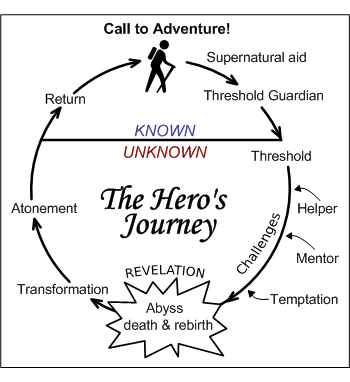 When I say hero’s journey, I mean that quite literally. The Bearer is a pretty textbook example of Joseph Campbell’s monomyth in action, which is why I think it works so well. 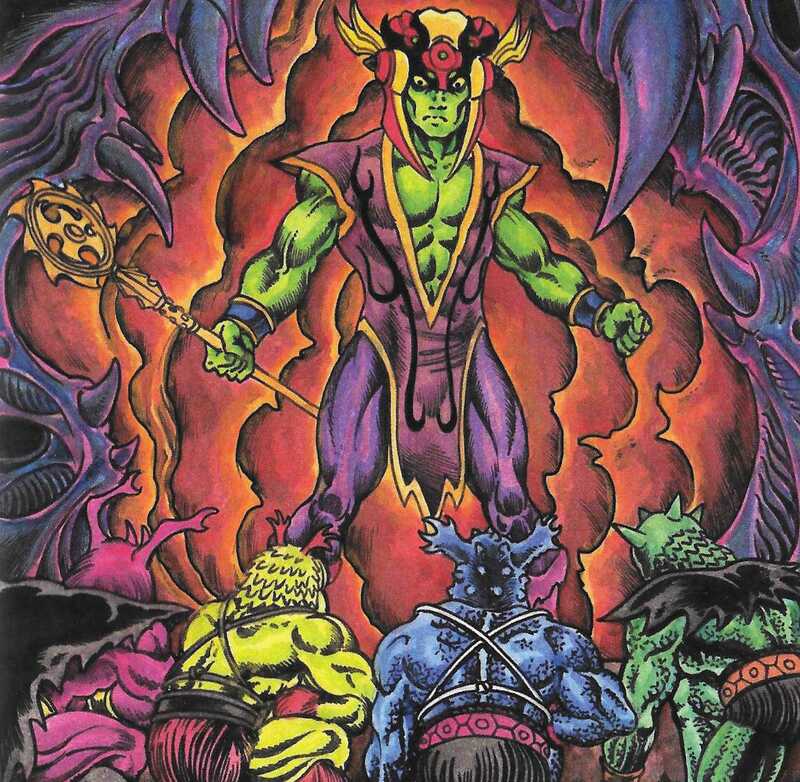 Meanwhile, a dark threat surrounding rumors of a demonic sorcerer (Wrath Azuhl, the Skeletor to Punch-Out’s He-Man) and his cultic followers begins to grow. The Monks of Axis Mundi, who guard a legendary weapon forged by the gods, identify Cestus as the champion worthy to wield the Hammer of the Gods. 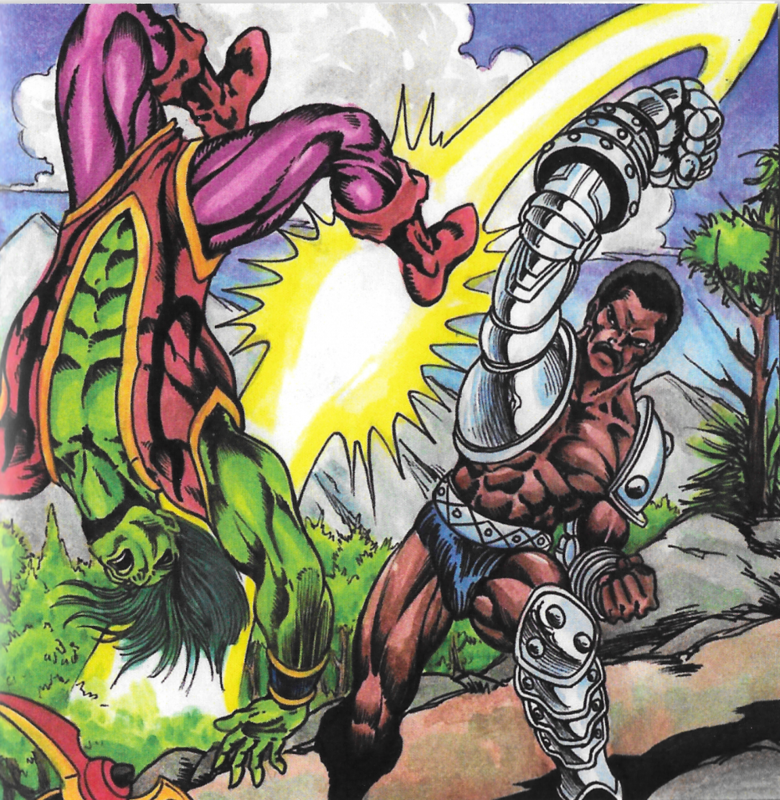 Through an intensely painful process, Cestus is fused with the Hammer, which is a metal gauntlet and sleeve imbued with divine magic. Now endowed with power from the gods, Punch-Out, as he is now called by the monks, goes to train with his new weapon. Of course, it doesn’t take long before the inevitable conflict with Wrath Azuhl and his colorful minions. 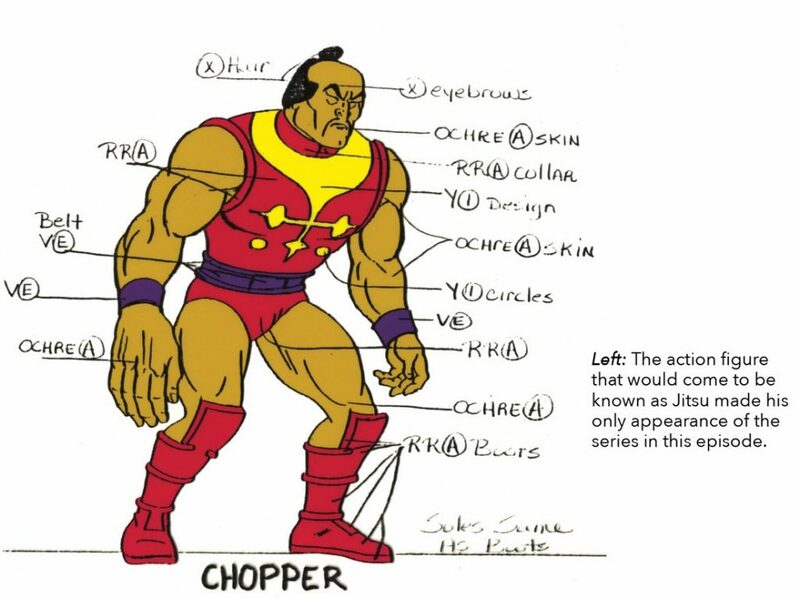 Incidentally, if there is something familiar about Punch-Out, it’s because the action figure he’s based on is made up of parts from an Apollo Creed figure, as well as bits from Man-At-Arms, Fisto, Trap-Jaw and Roboto. I don’t want to spoil the climax or the ending, as the comic just went on sale. I will say that I didn’t know what to expect when I started reading The Bearer and the Burden, but I was pulled into the story from the first couple of pages onward. 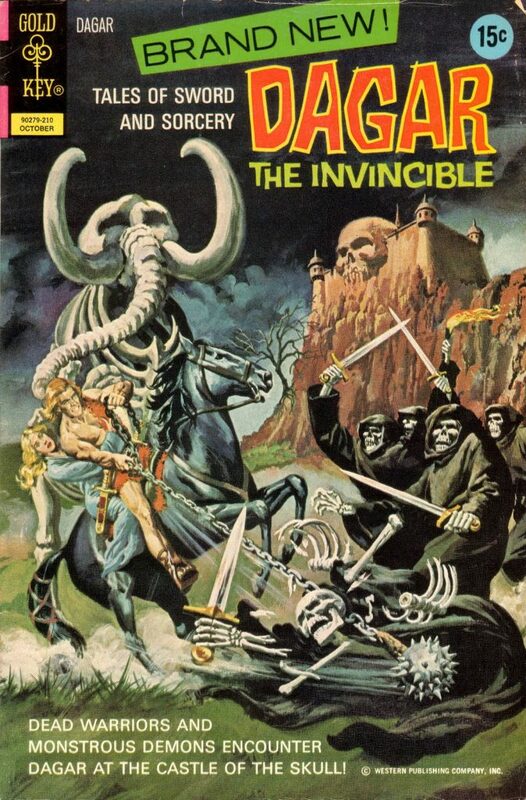 It’s a well-balanced blend of classic sword and sorcery story-telling with just enough pulpiness and humor to keep things fun. Harris’ skillful narration combined with Danbrenus’ charming Alcala-esque illustrations make for a very enjoyable read. 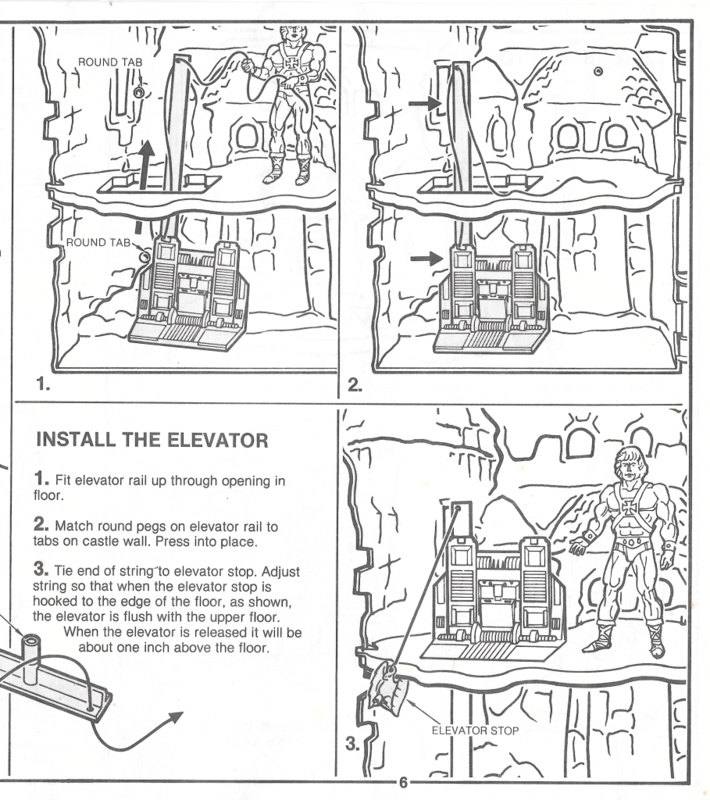 Fans of Masters of the Universe will get what this is about instantly, and those familiar with the vintage minicomics will be delighted with the little Easter eggs that Danbrenus has left for them. 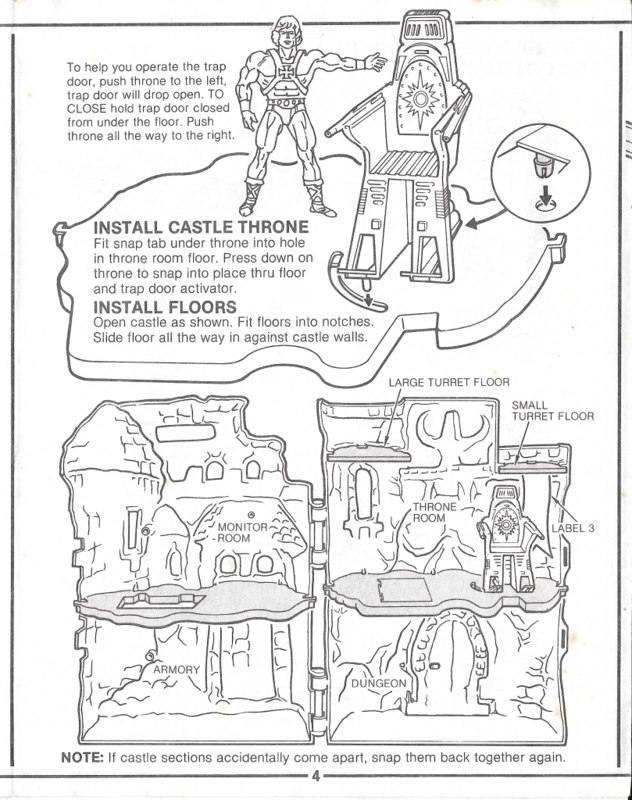 Here are the original assembly instructions for Castle Grayskull. I’m presenting these without much in the way of commentary. I’ll just note a couple of items of interest. 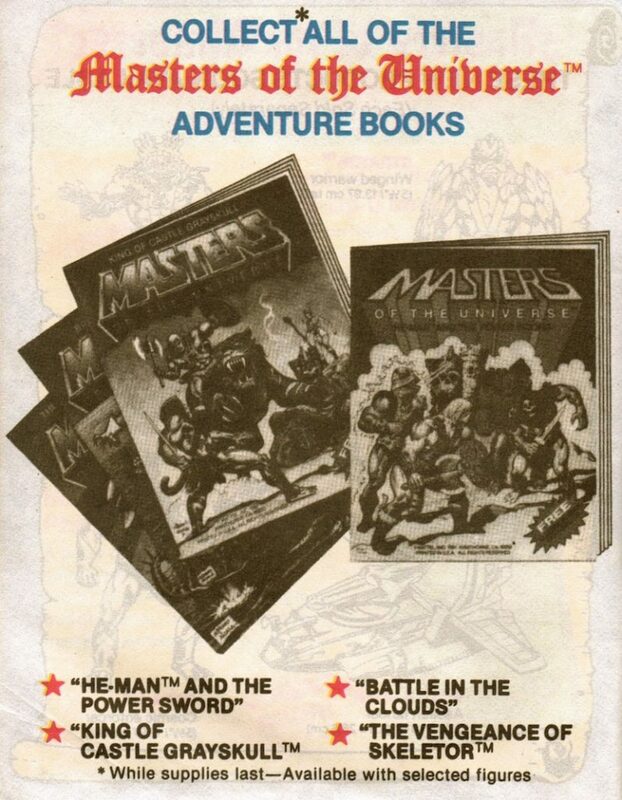 First, the illustration of He-Man on the front page is an edited version of the original, which featured a boot knife (the original version appears in advertising copy). 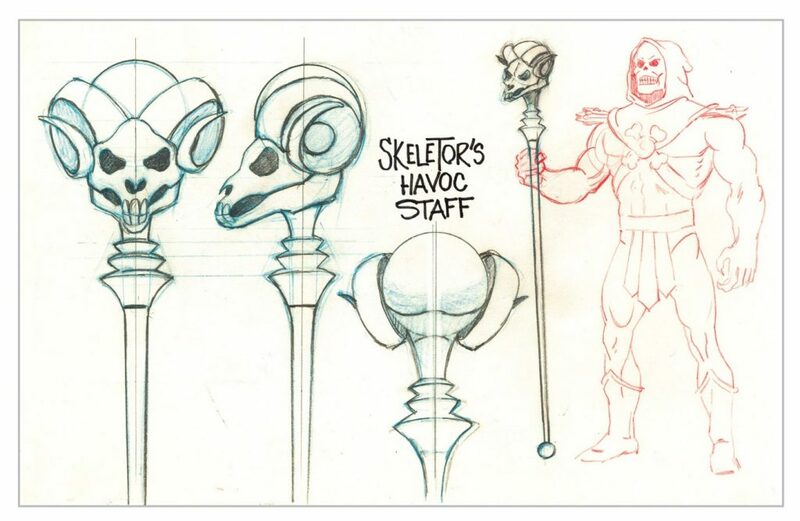 This spear-holding He-Man hearkens back to the character’s more savage origins. 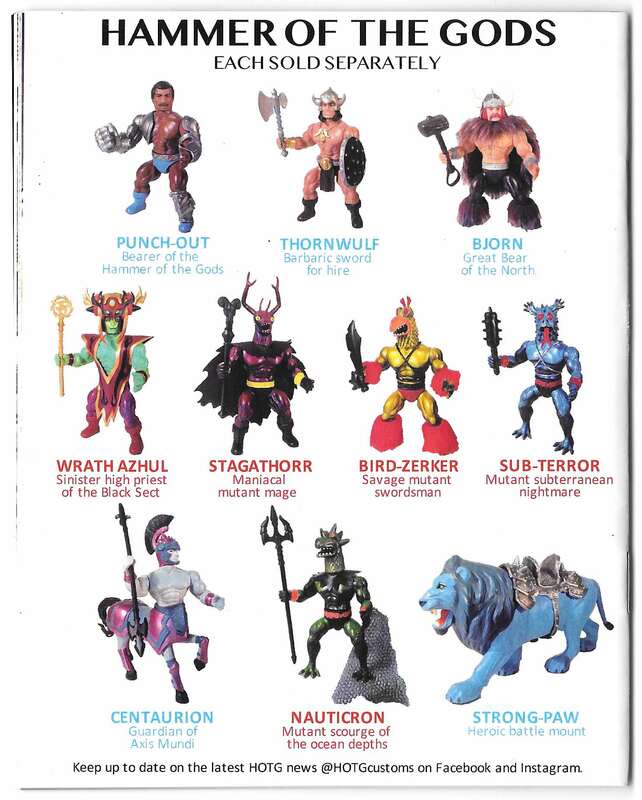 I’ll also note that the picture on the last page is traced from a photo that first appeared in Mattel’s 1982 Toy Fair dealer catalog, based on some early and late stage prototype figures. 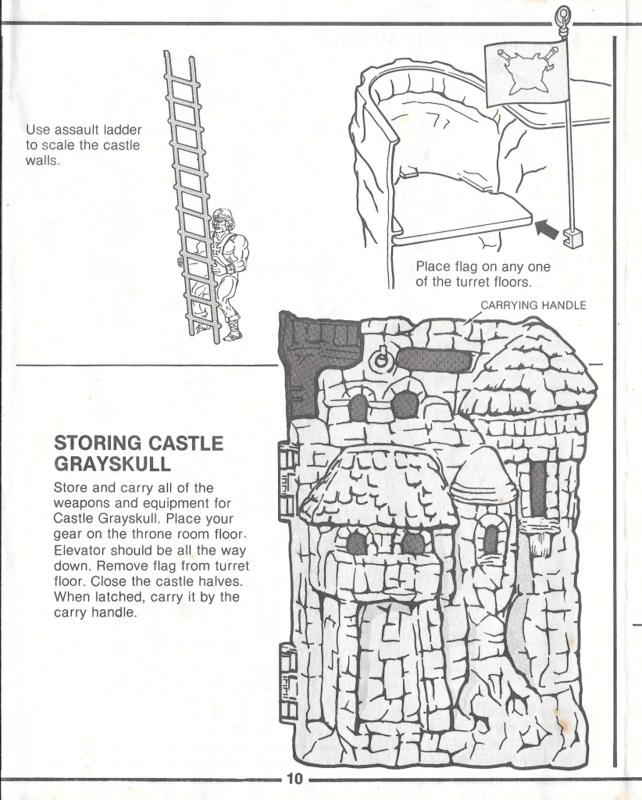 I believe I was five or six when I got my original Castle Grayskull. Getting it as a Christmas present was probably the most exciting thing that had happened to little me. 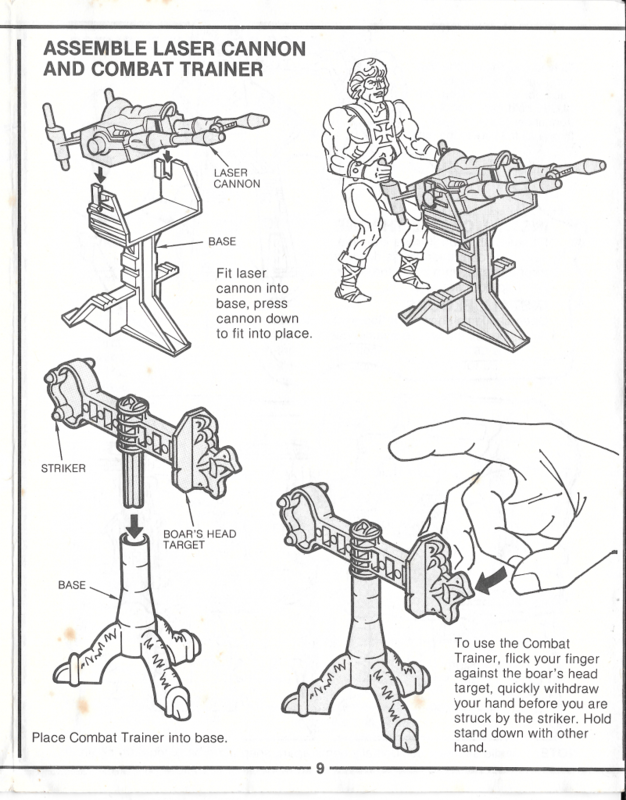 I remember shaking with excitement just a little as I popped the little gray weapons out of their frames. My dad helped me put it together, but he left me to put the labels on myself, and of course they ended up a bit crooked. Isn’t that always the way with stickers? All scans by Battle Ram Blog.